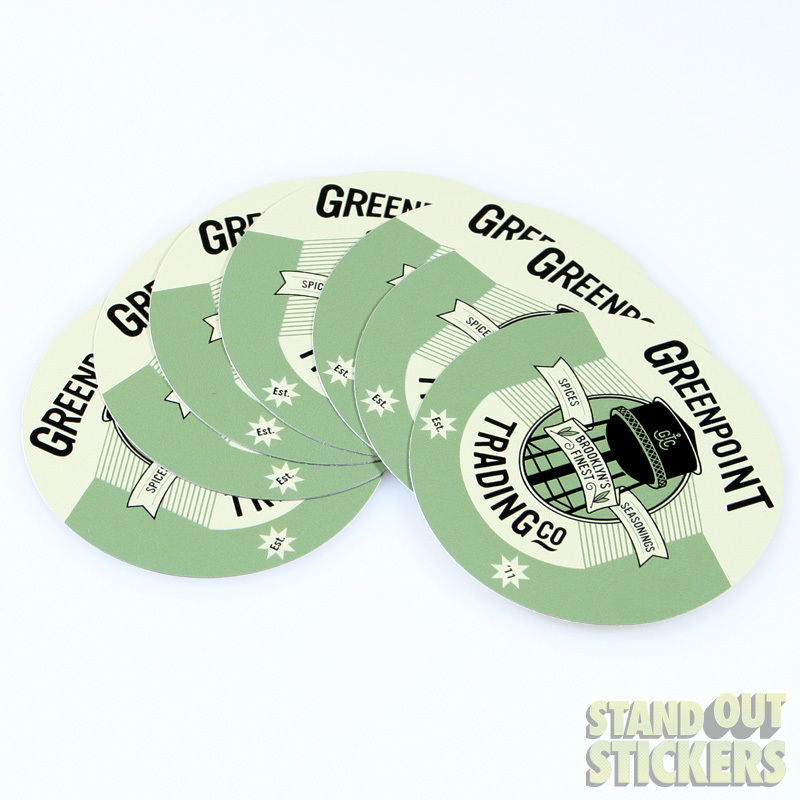 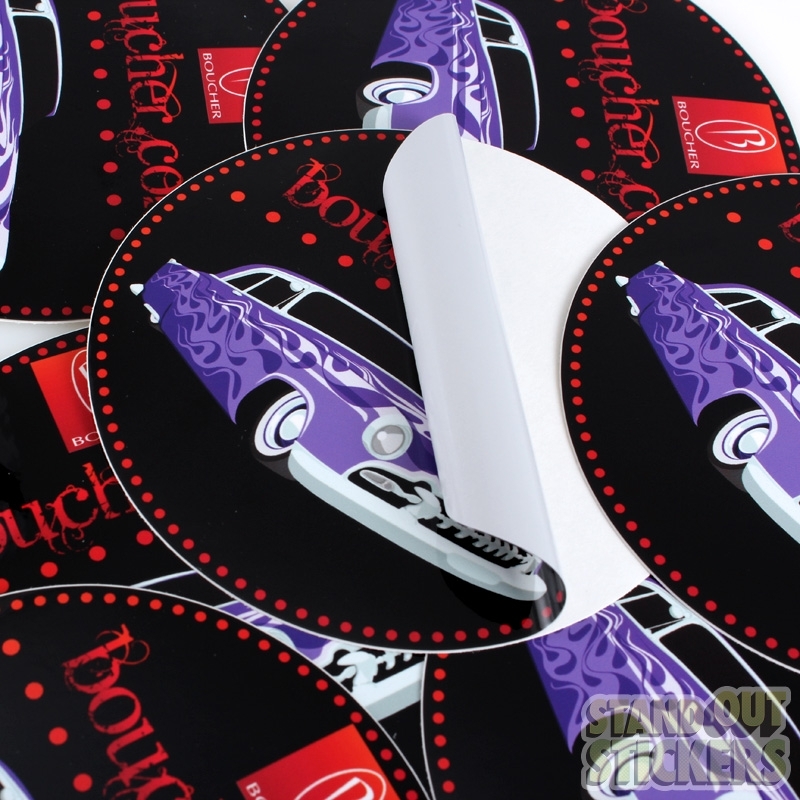 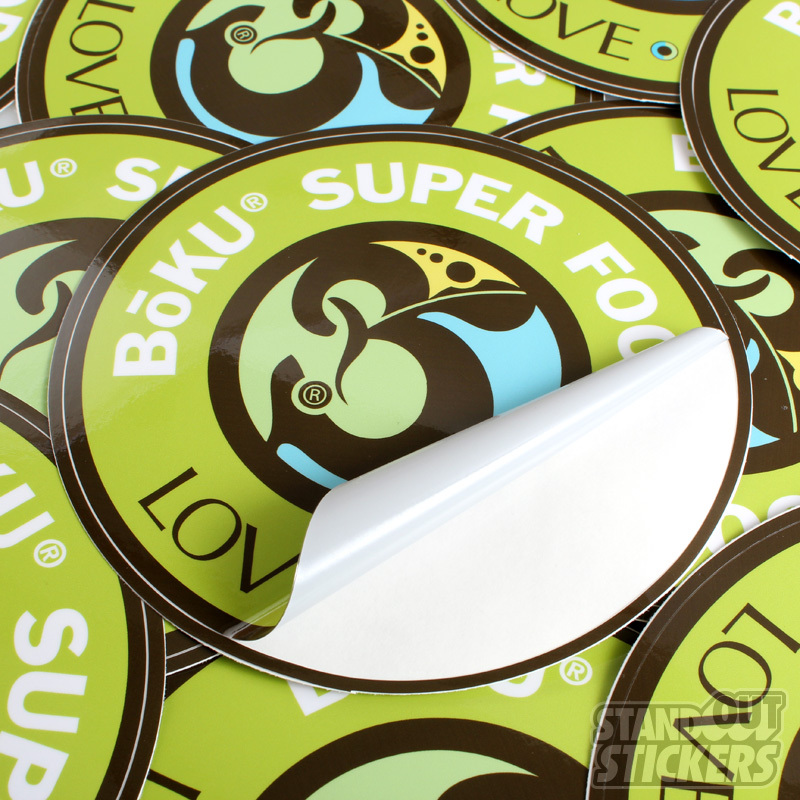 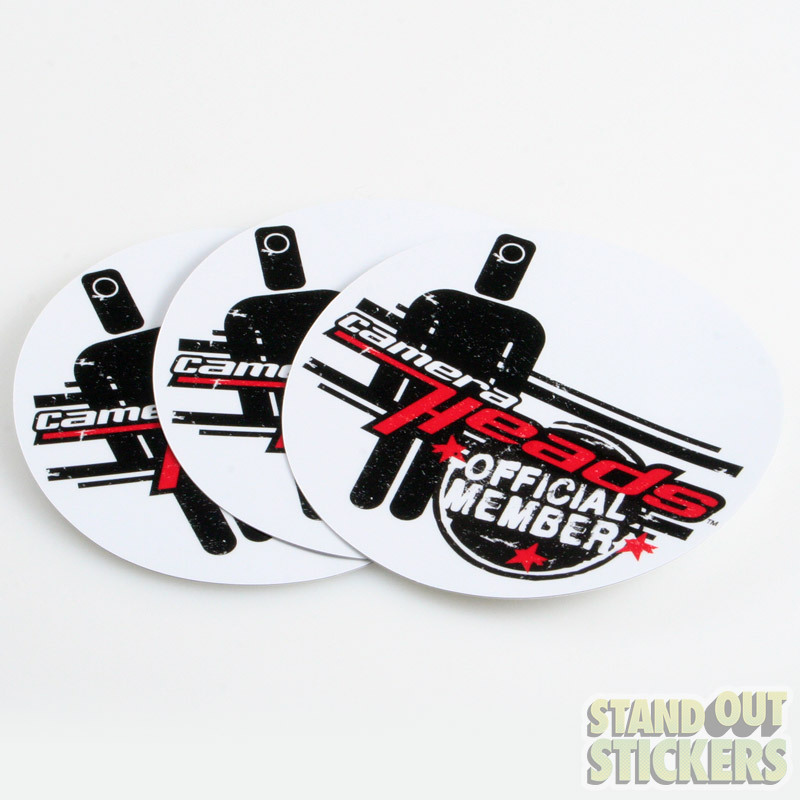 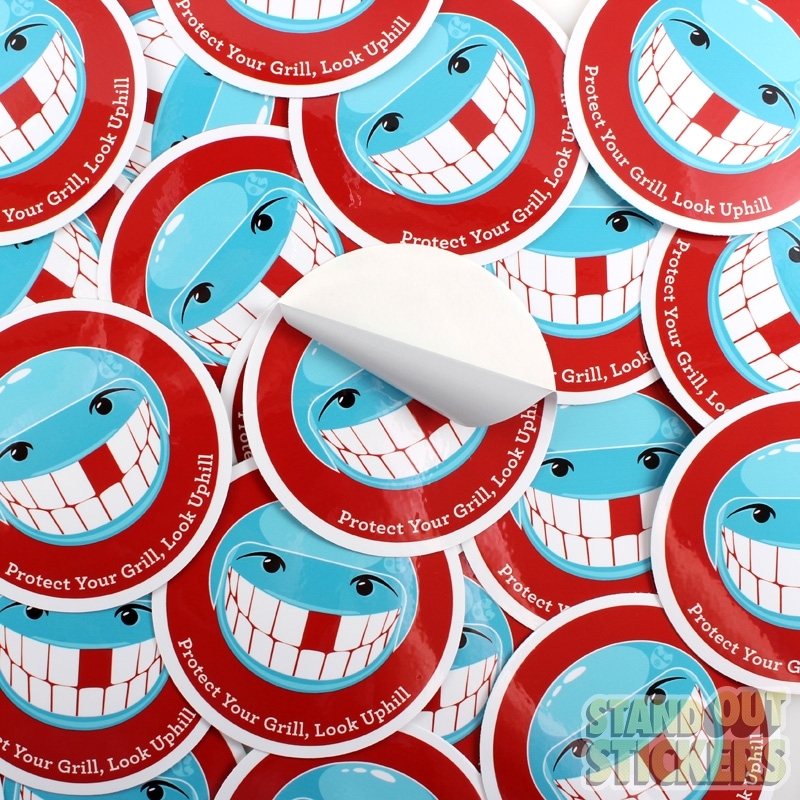 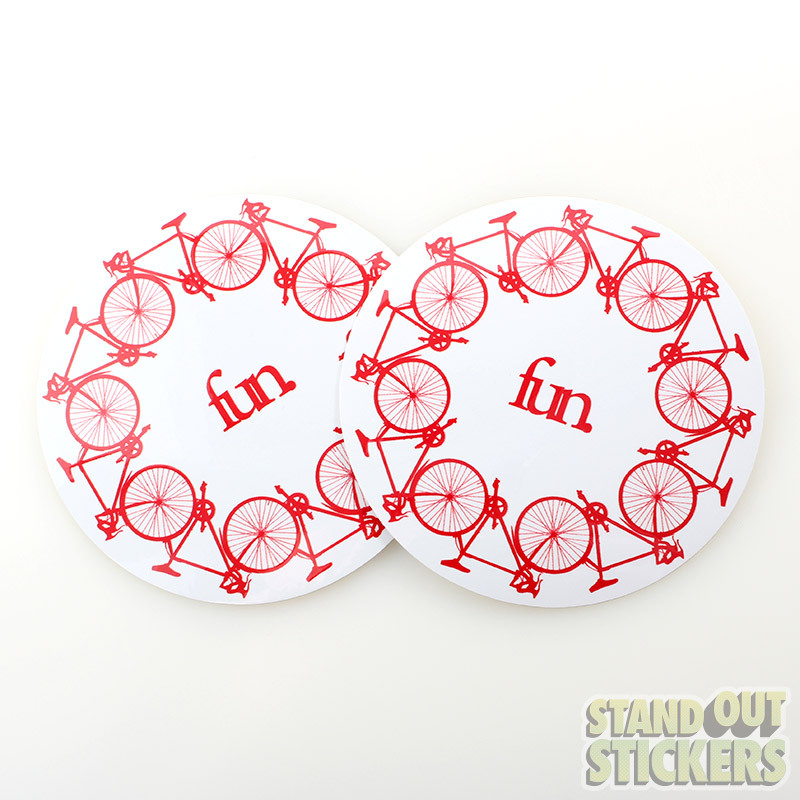 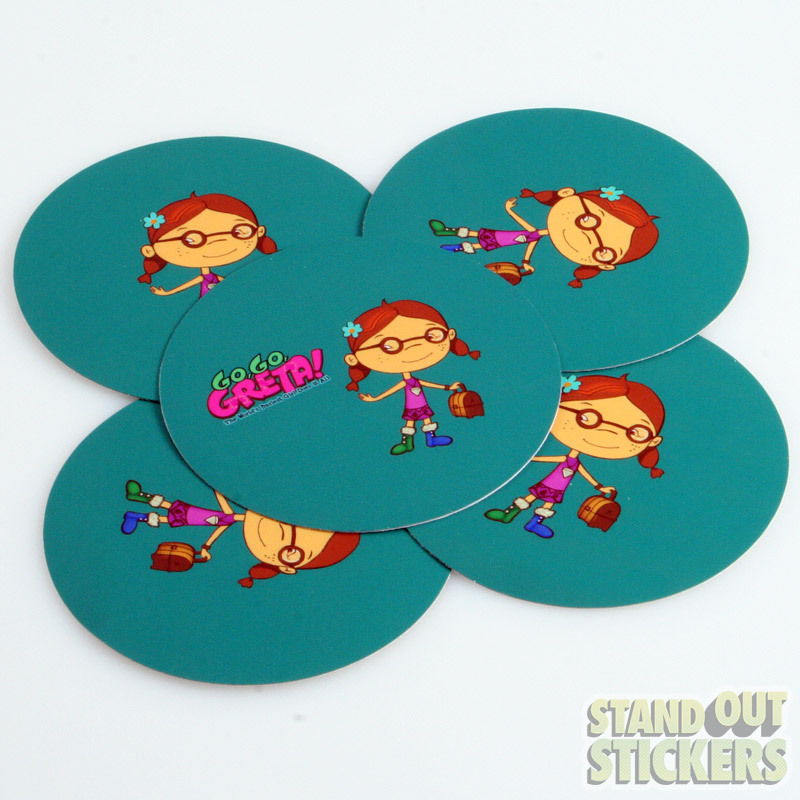 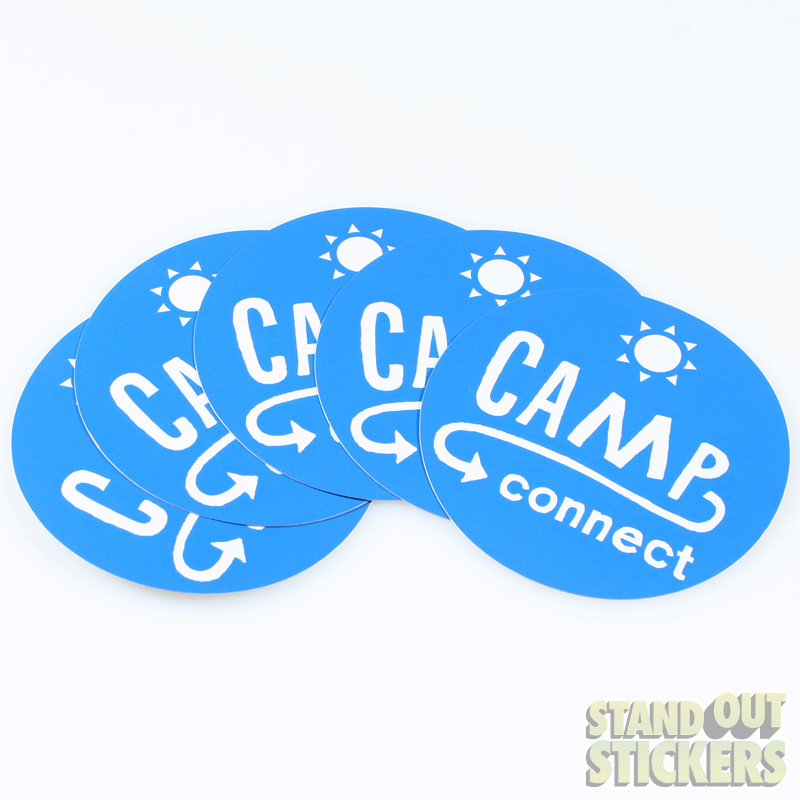 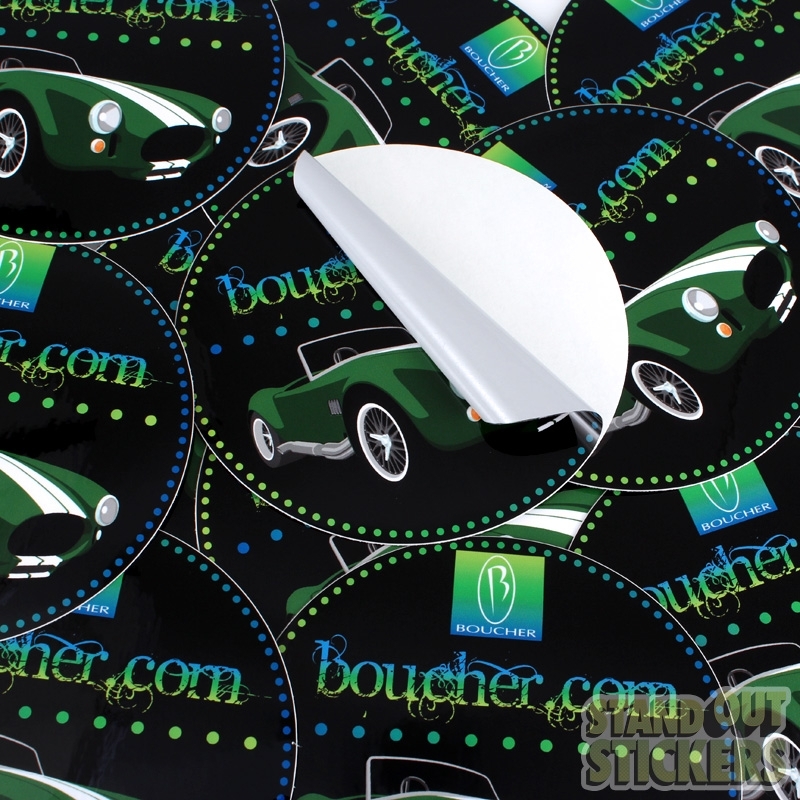 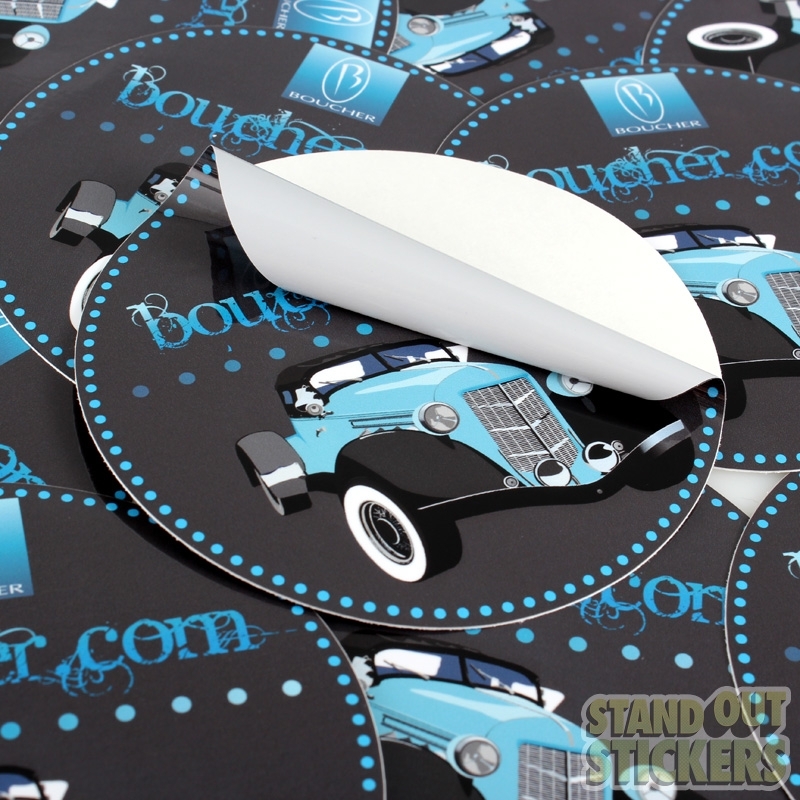 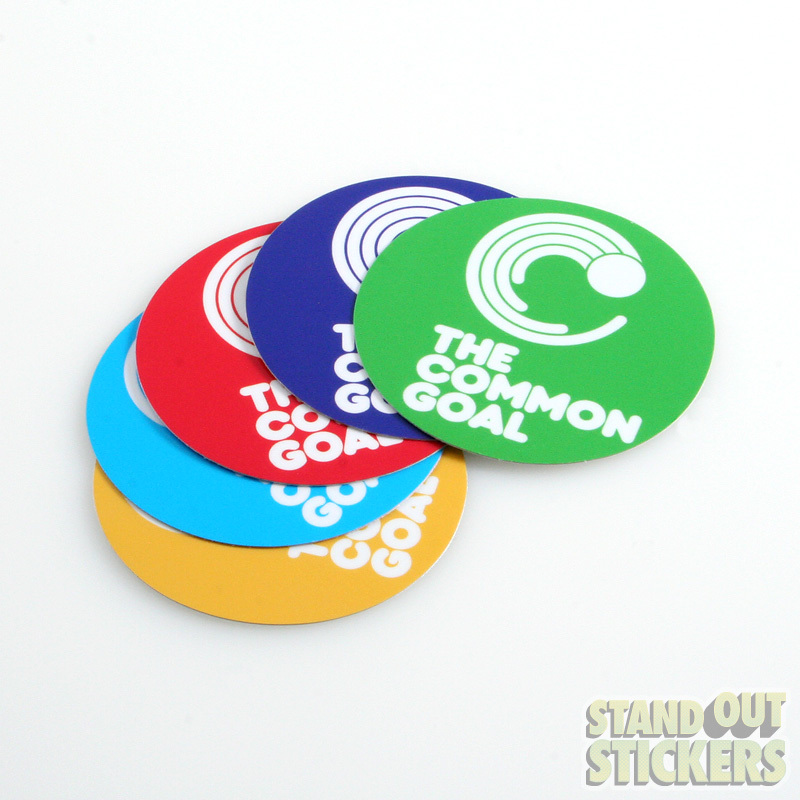 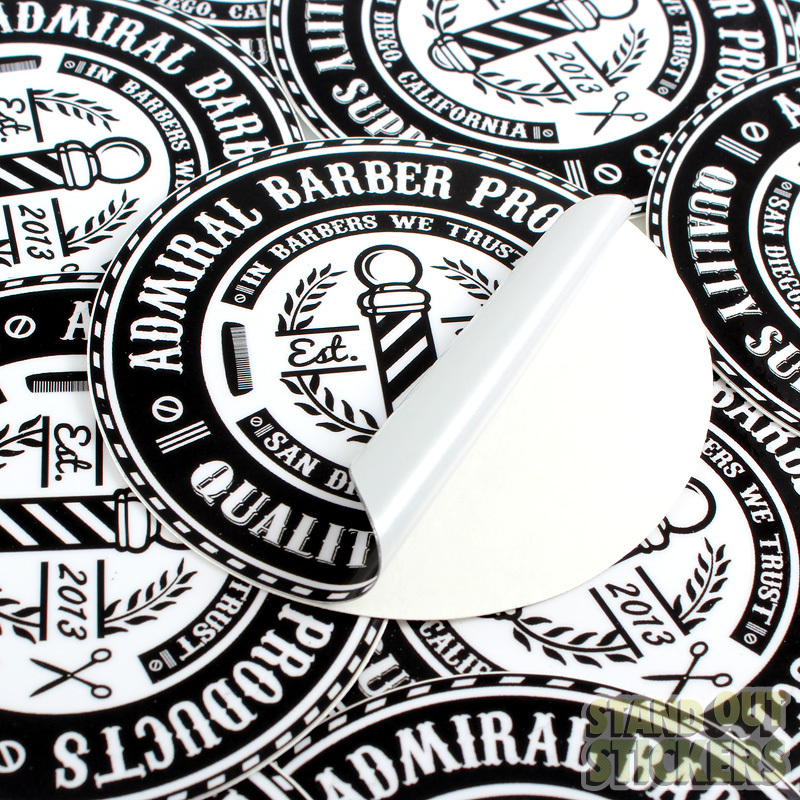 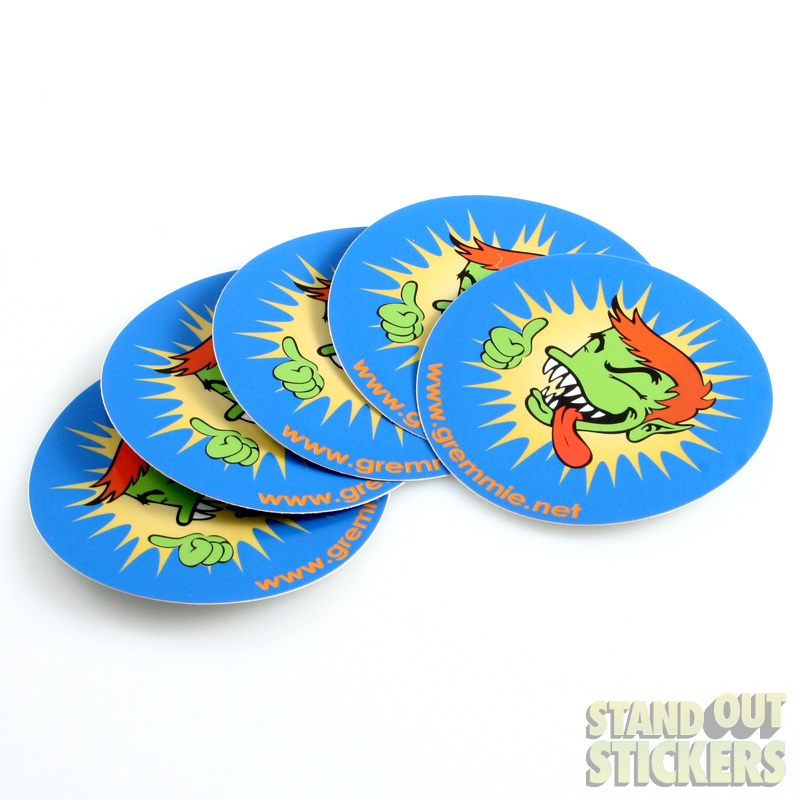 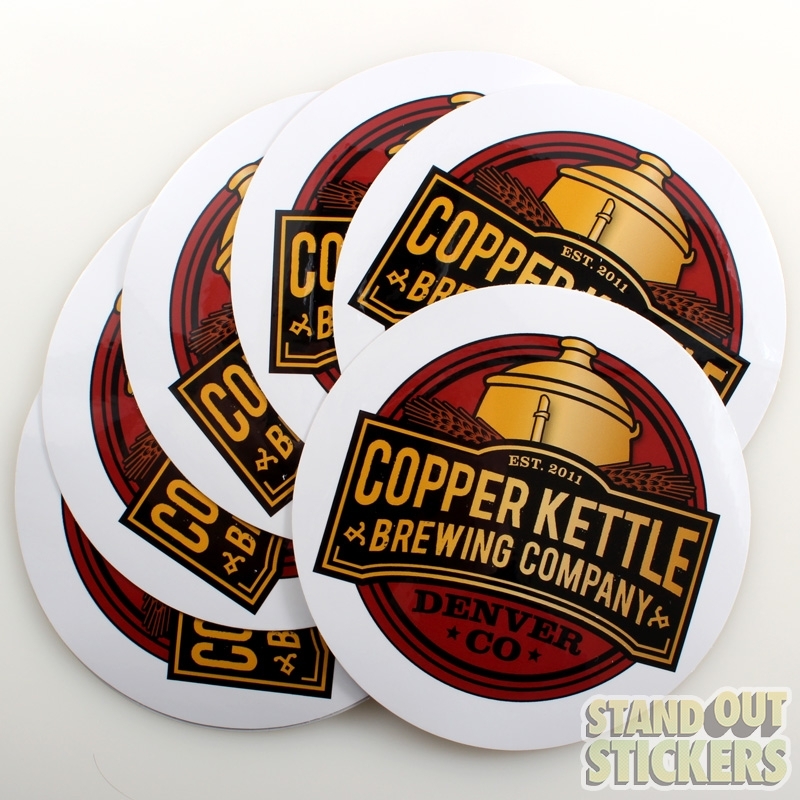 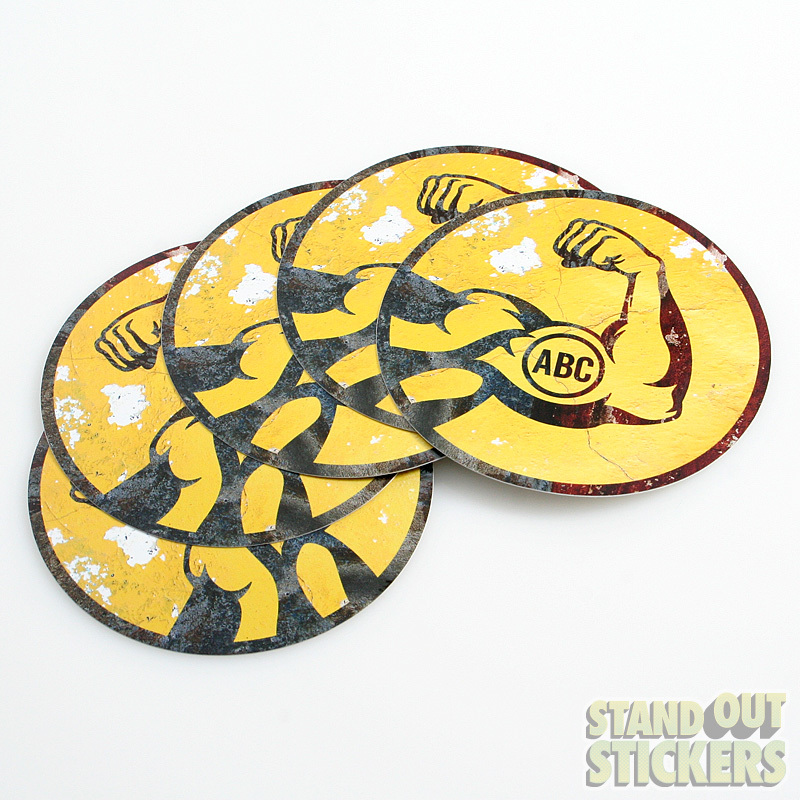 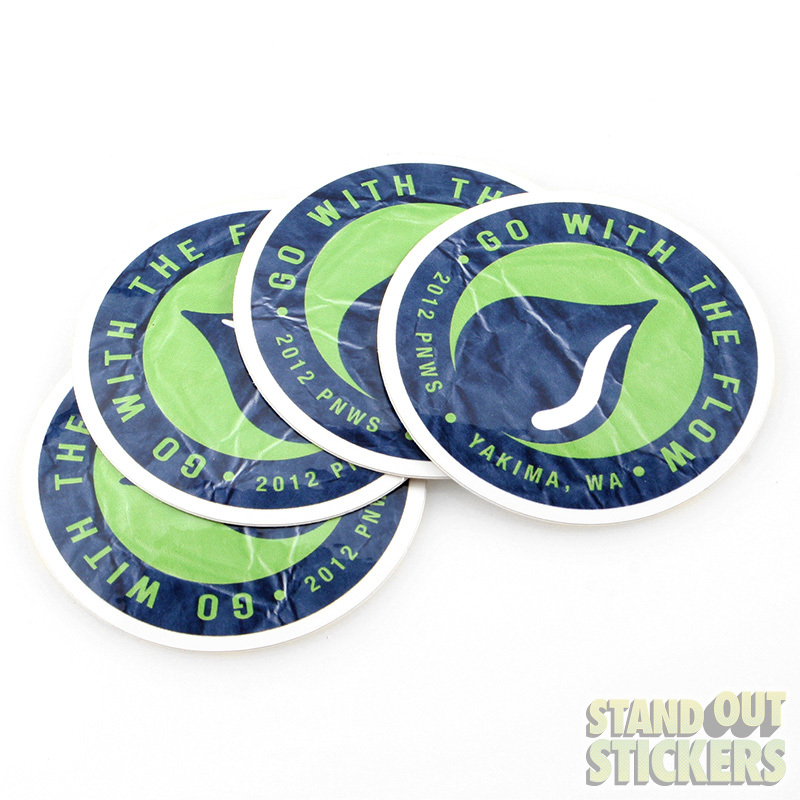 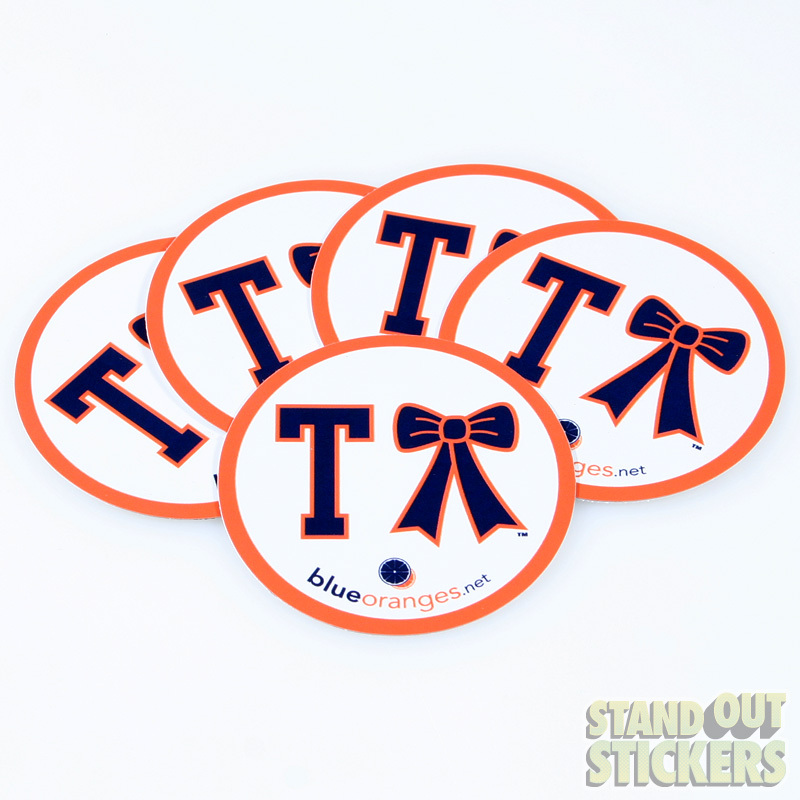 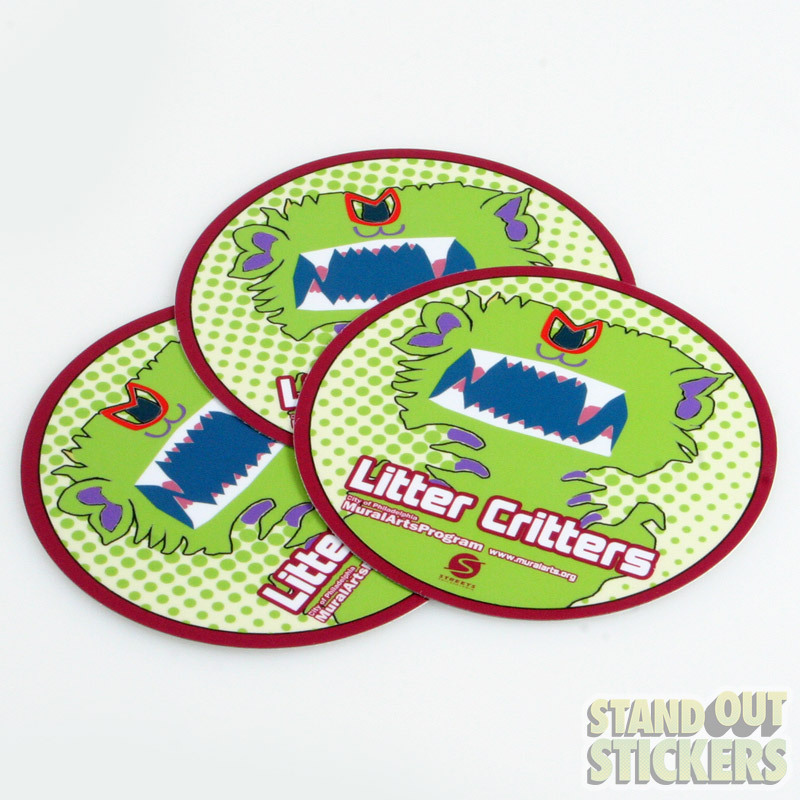 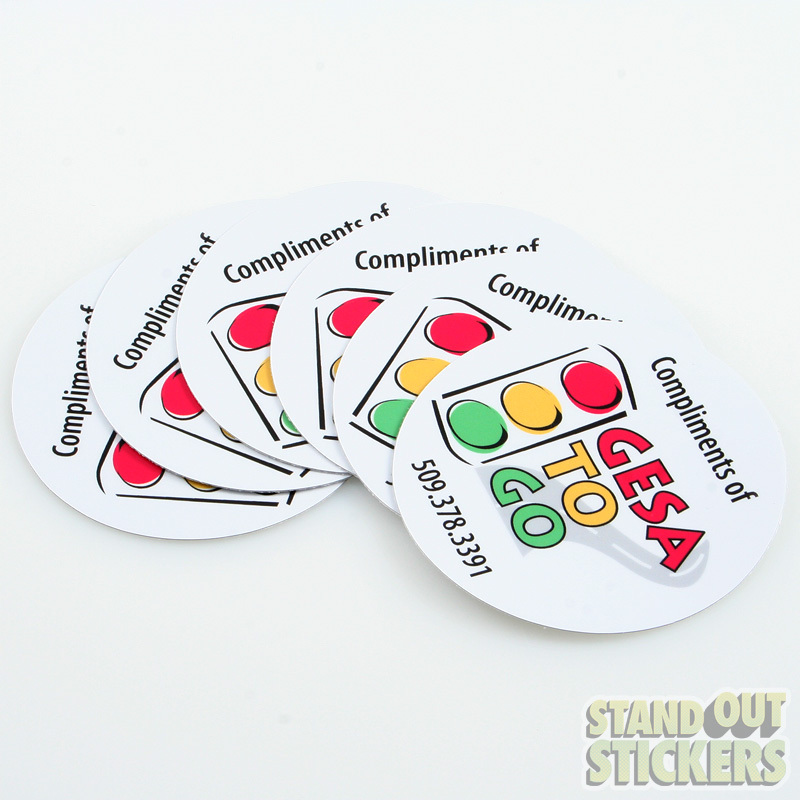 Run circles around your competition by putting your logo on a spiffy circular sticker. 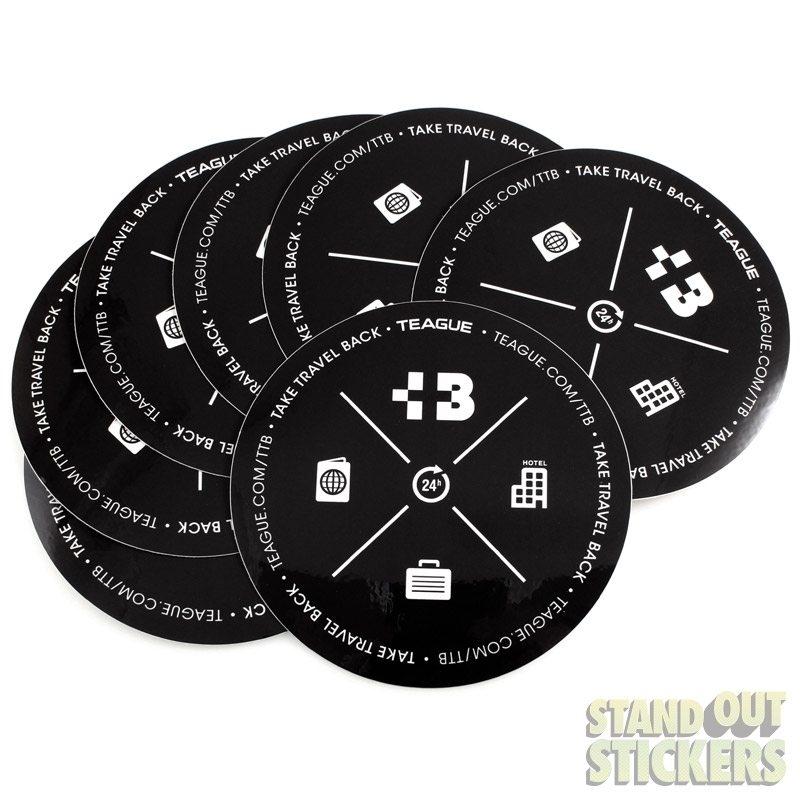 No logo? 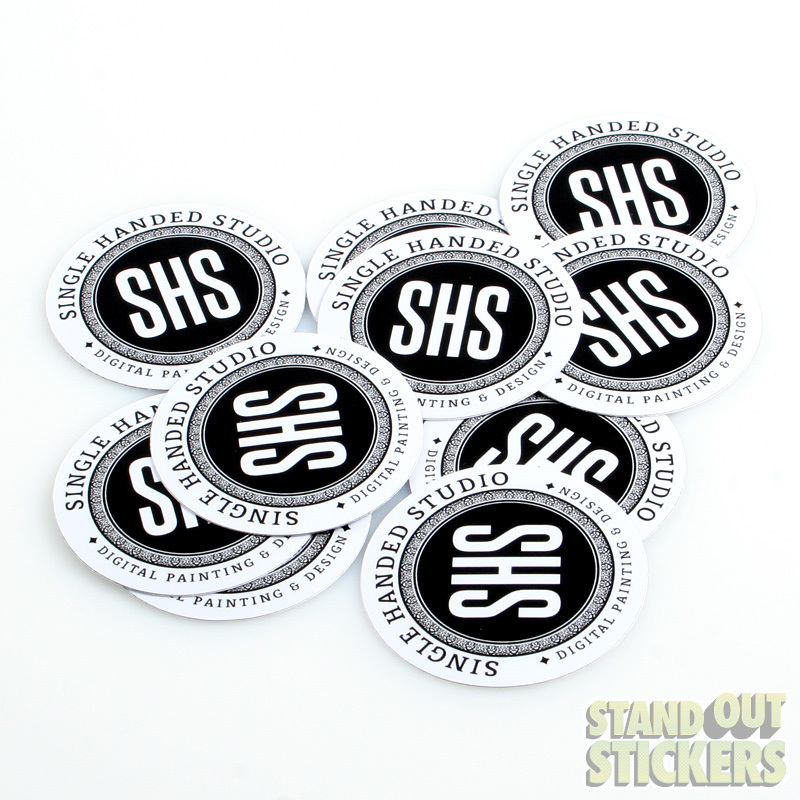 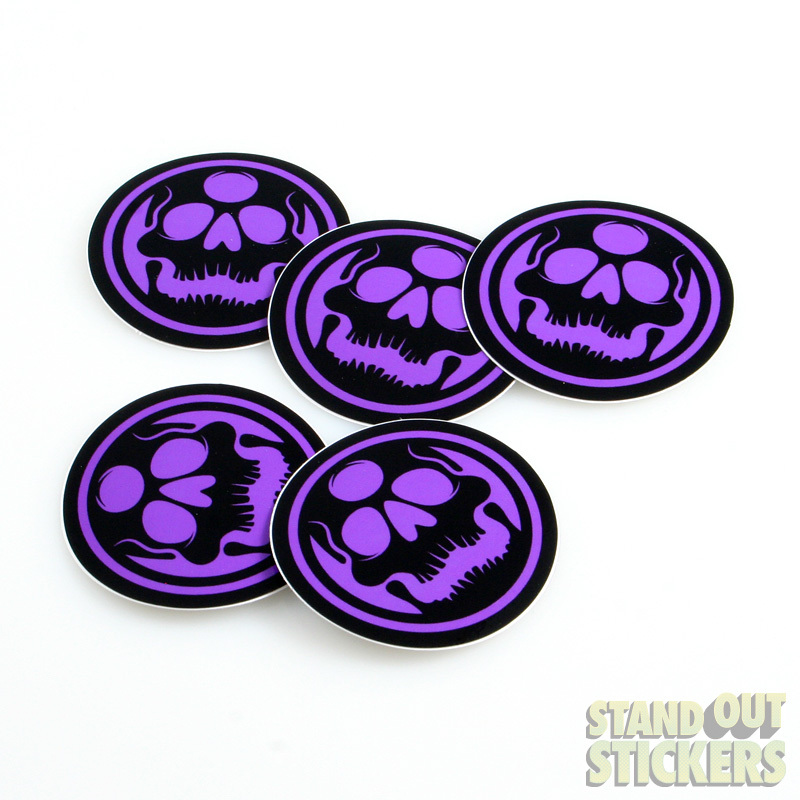 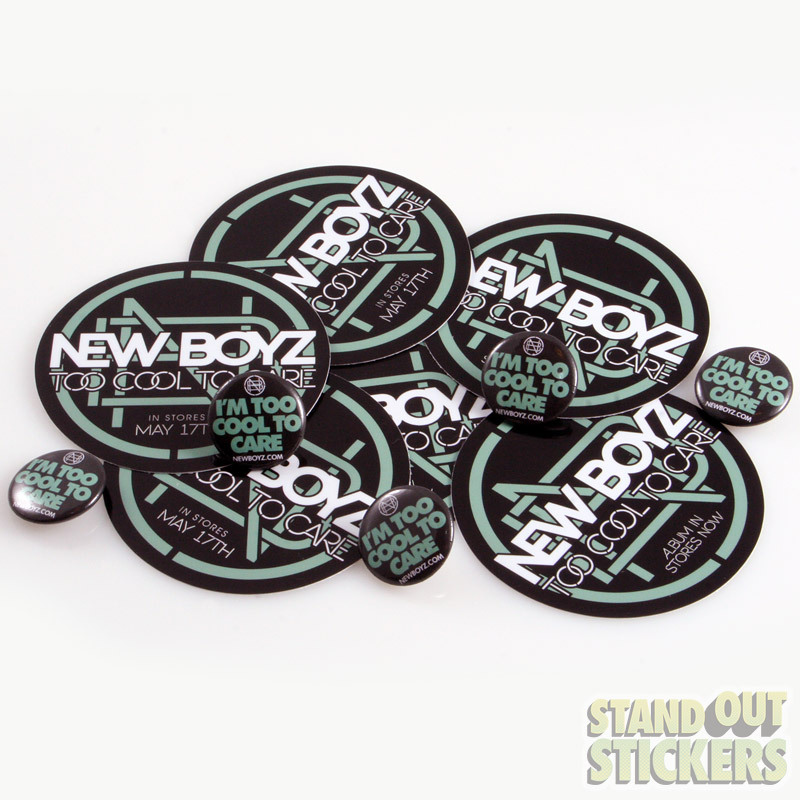 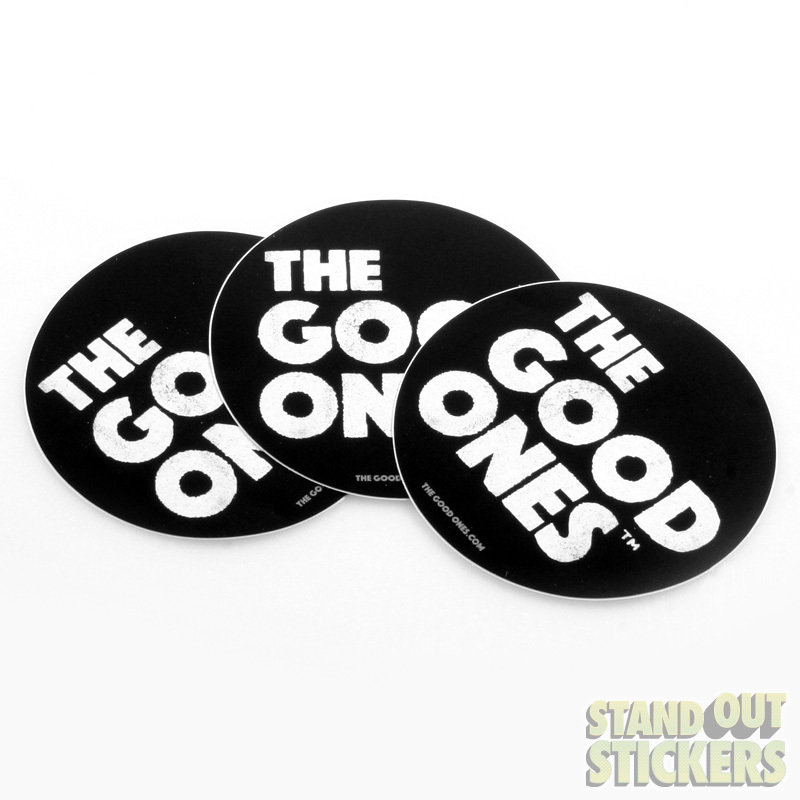 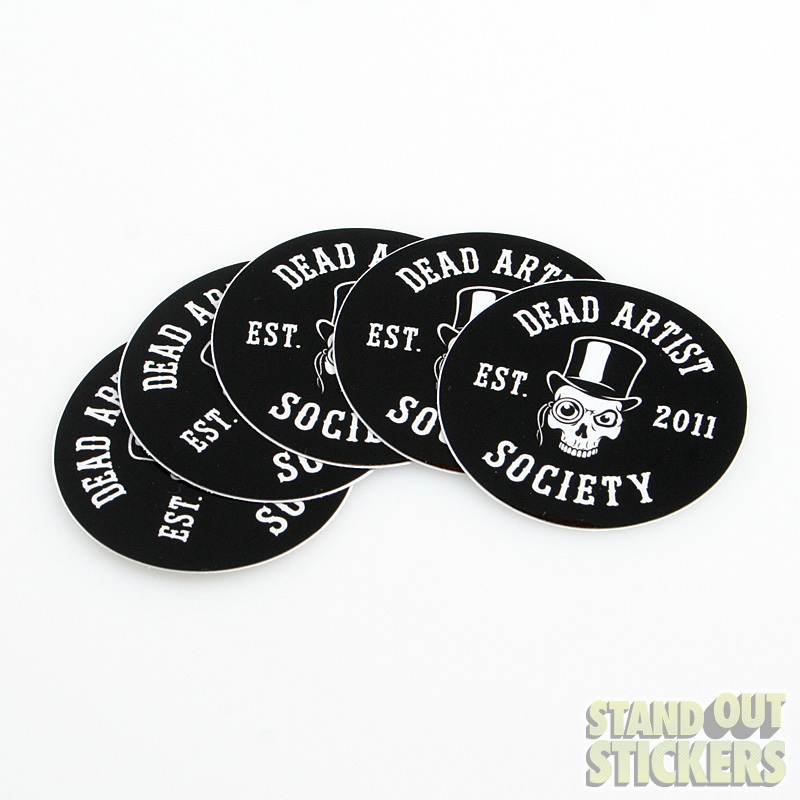 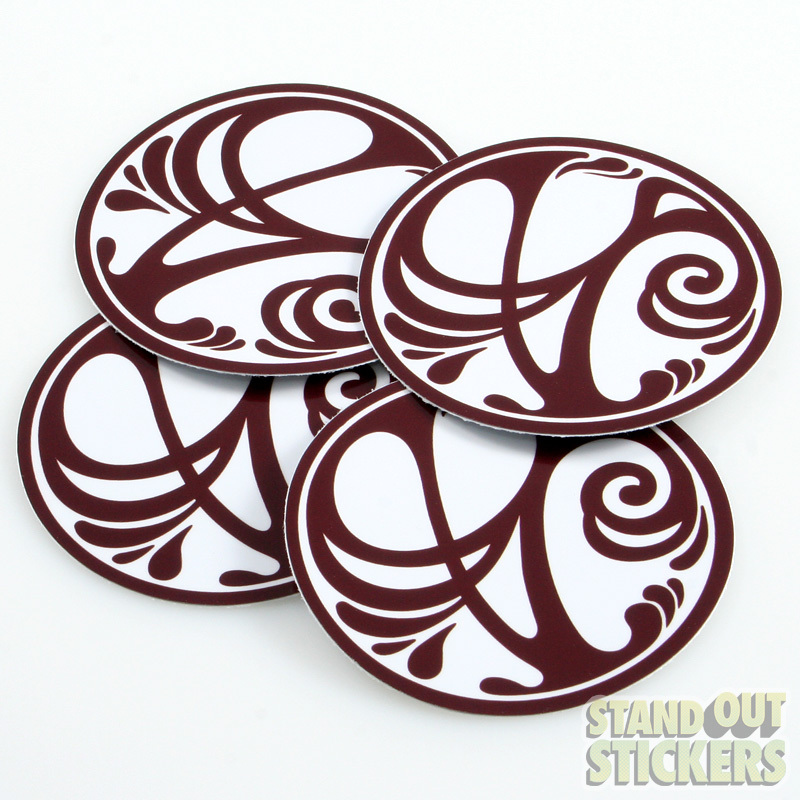 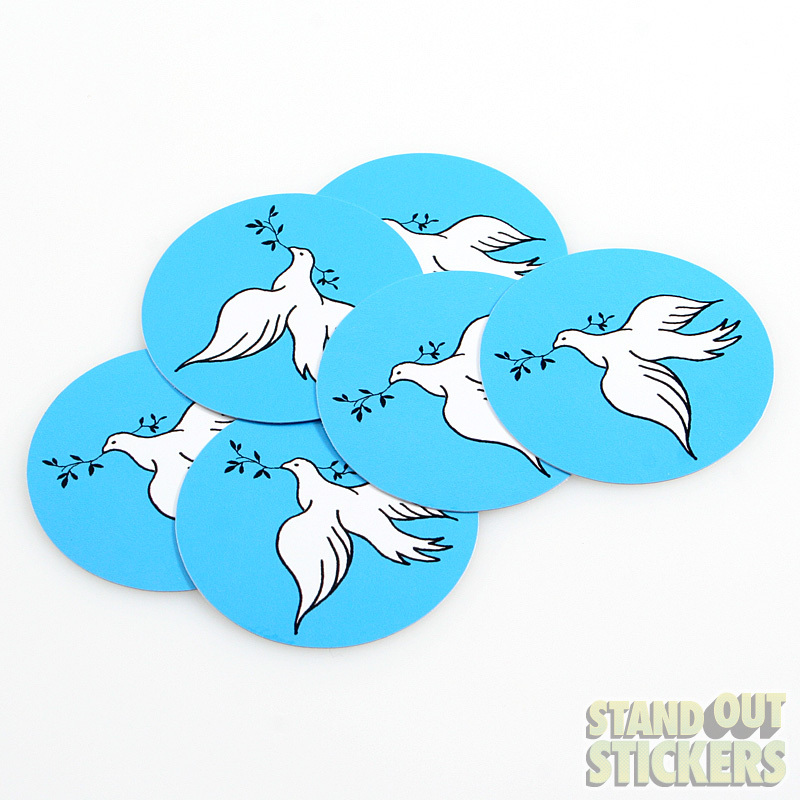 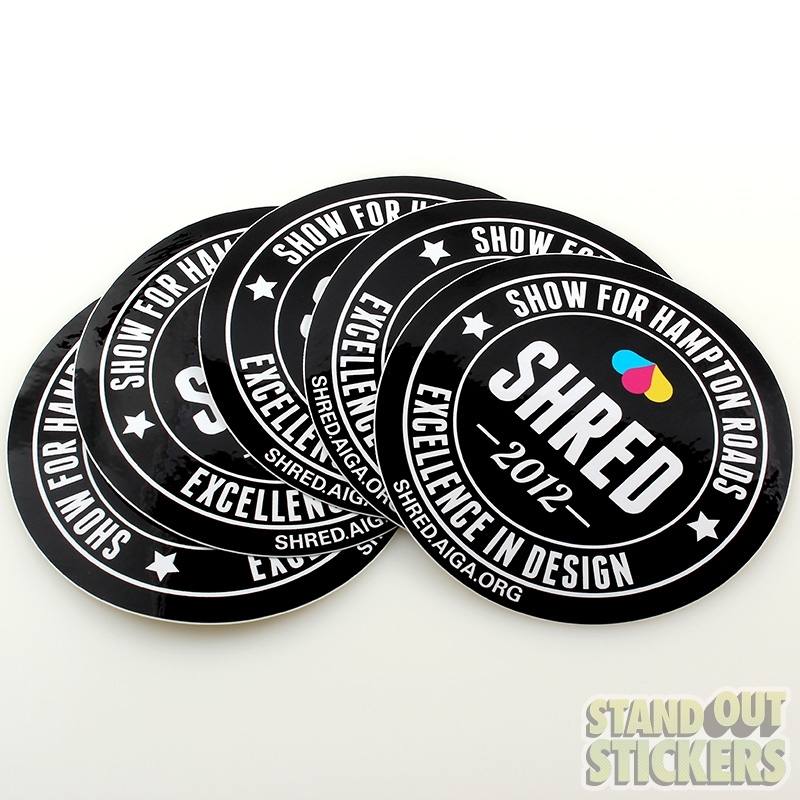 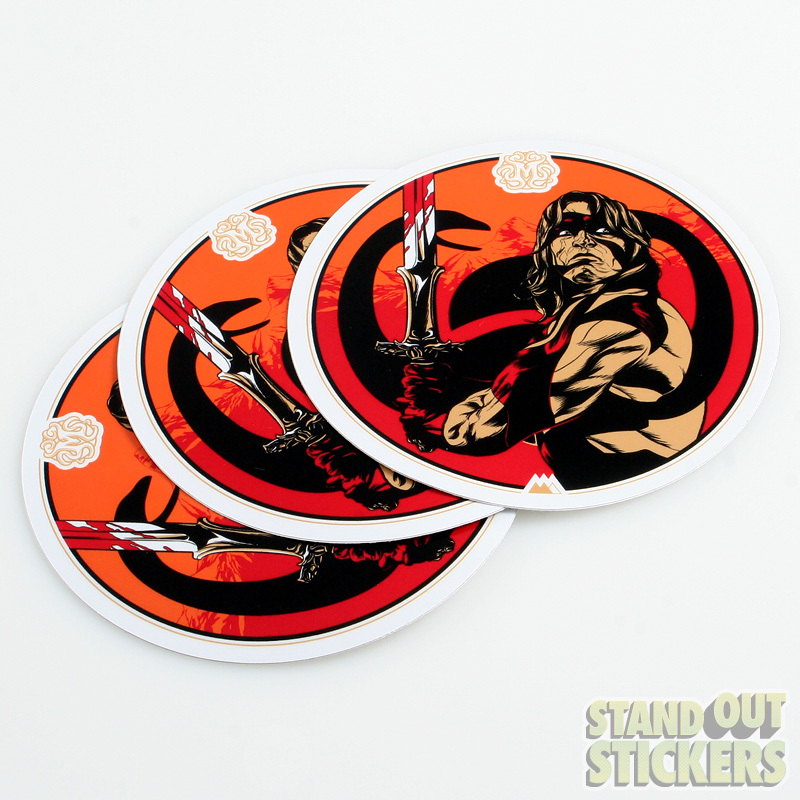 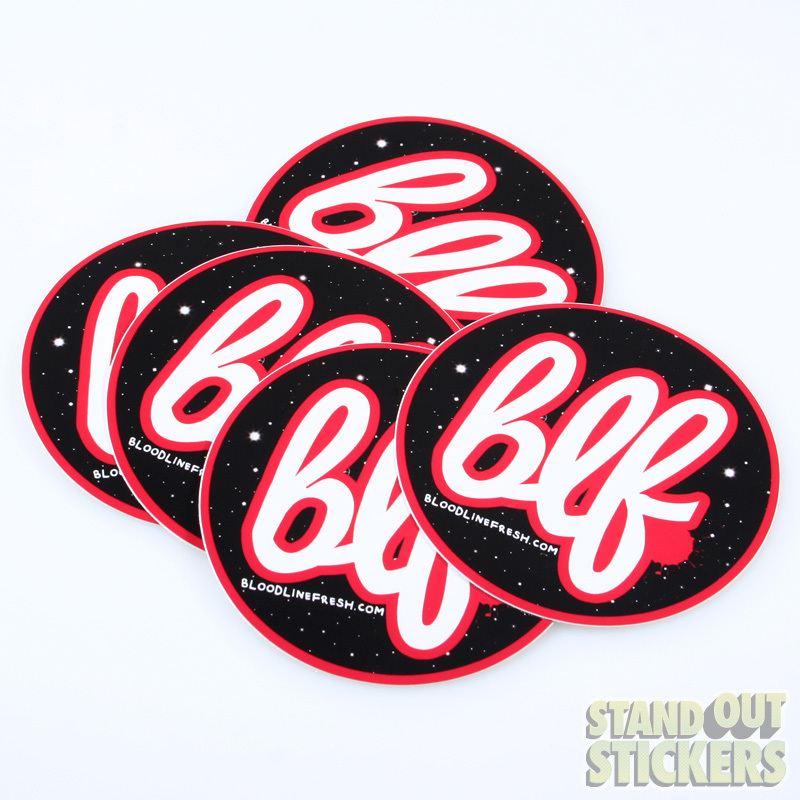 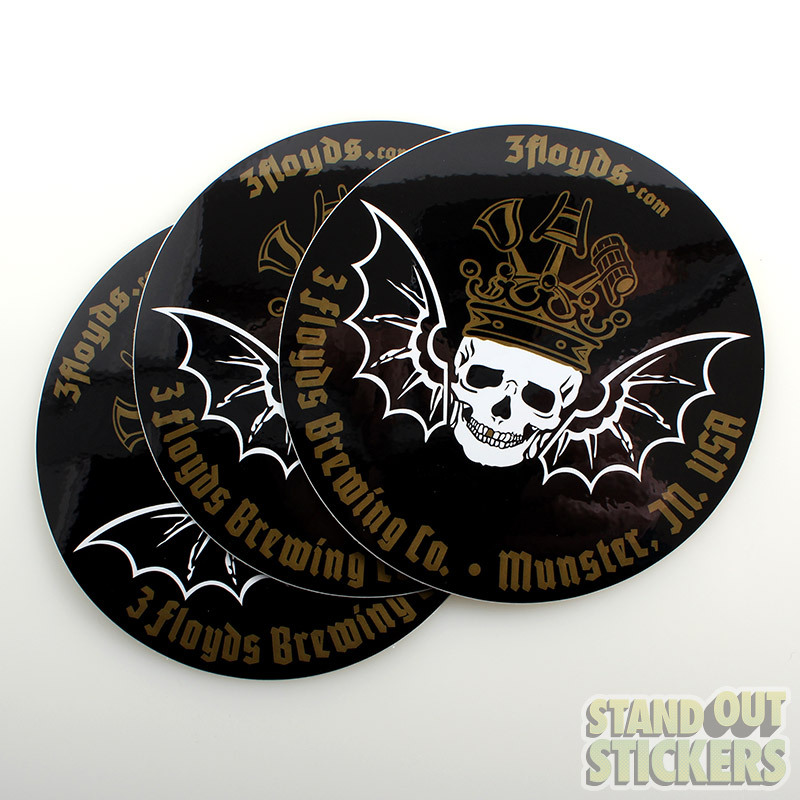 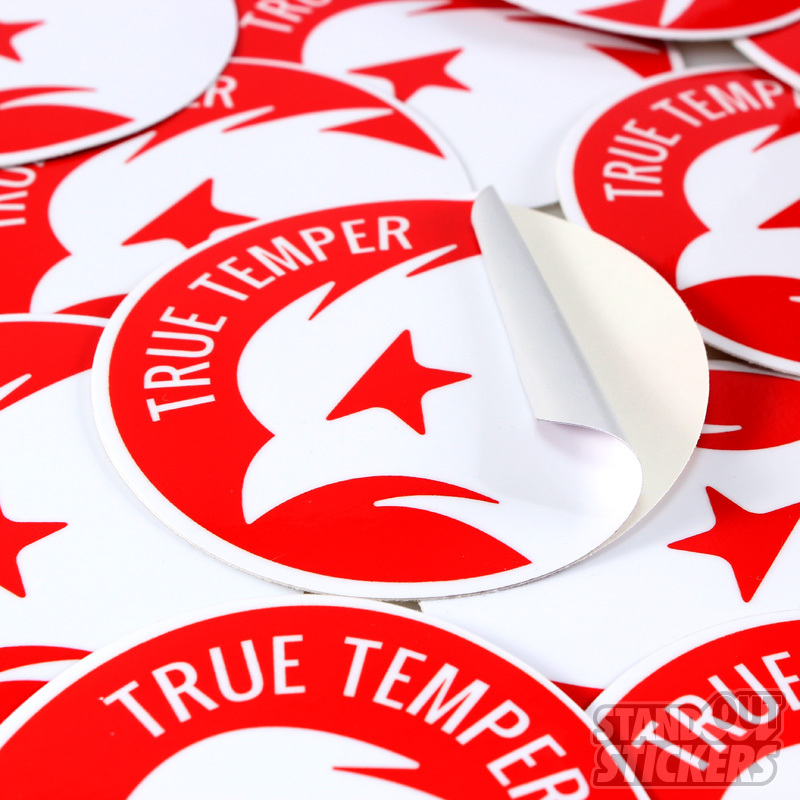 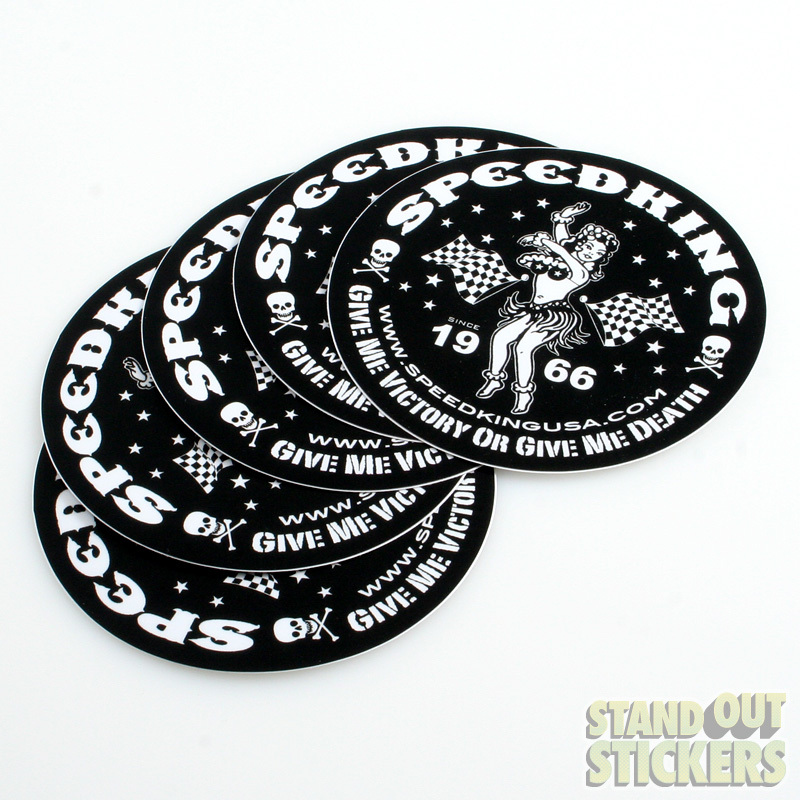 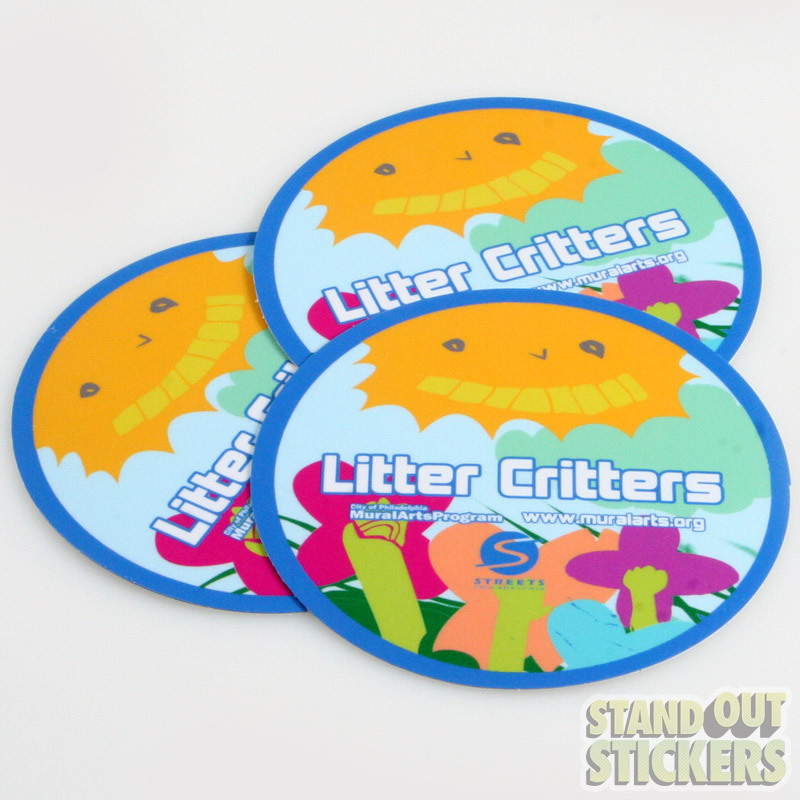 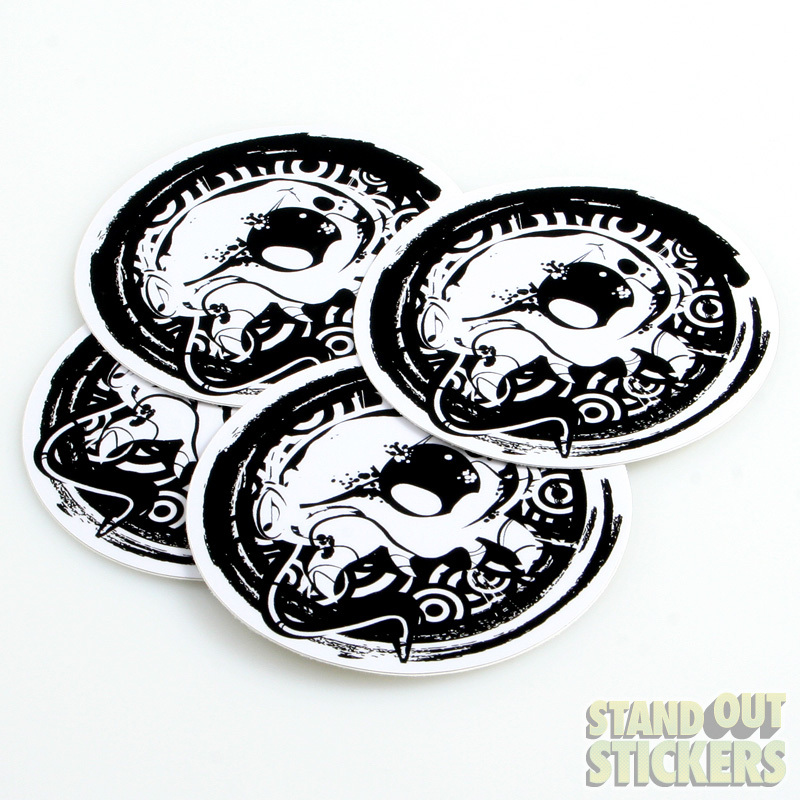 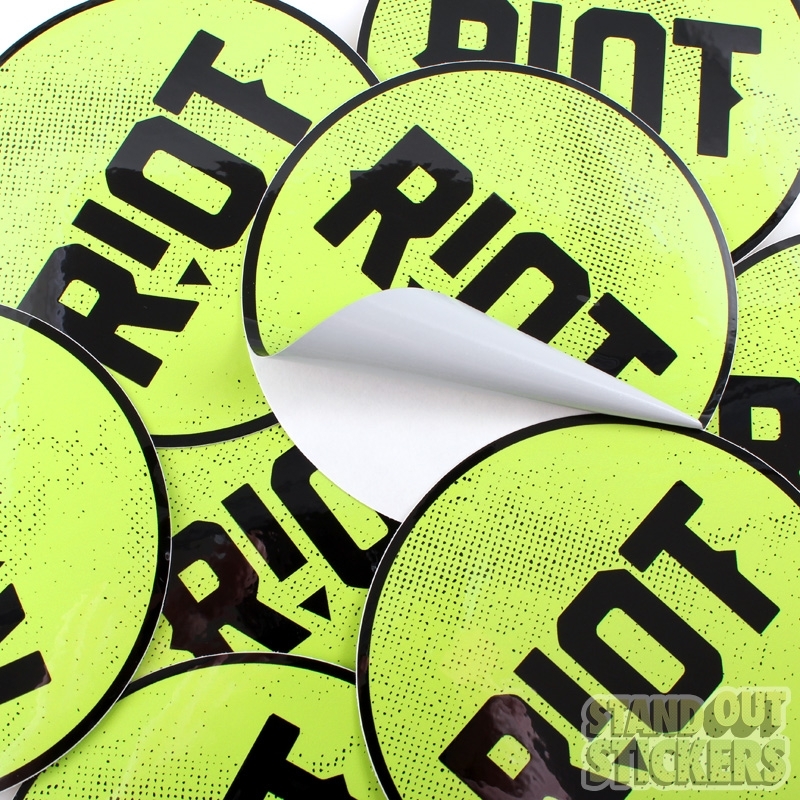 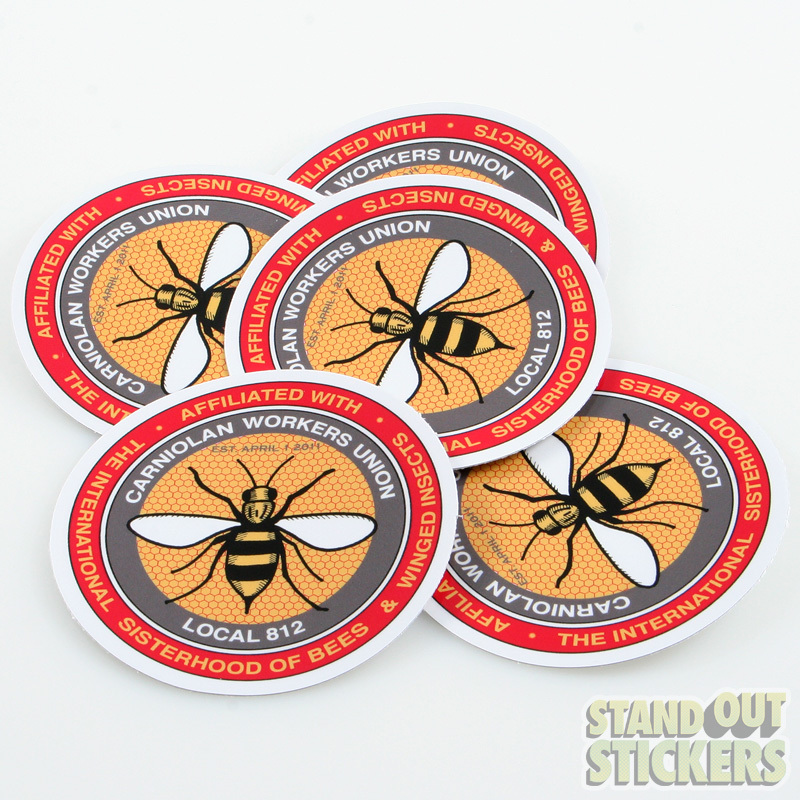 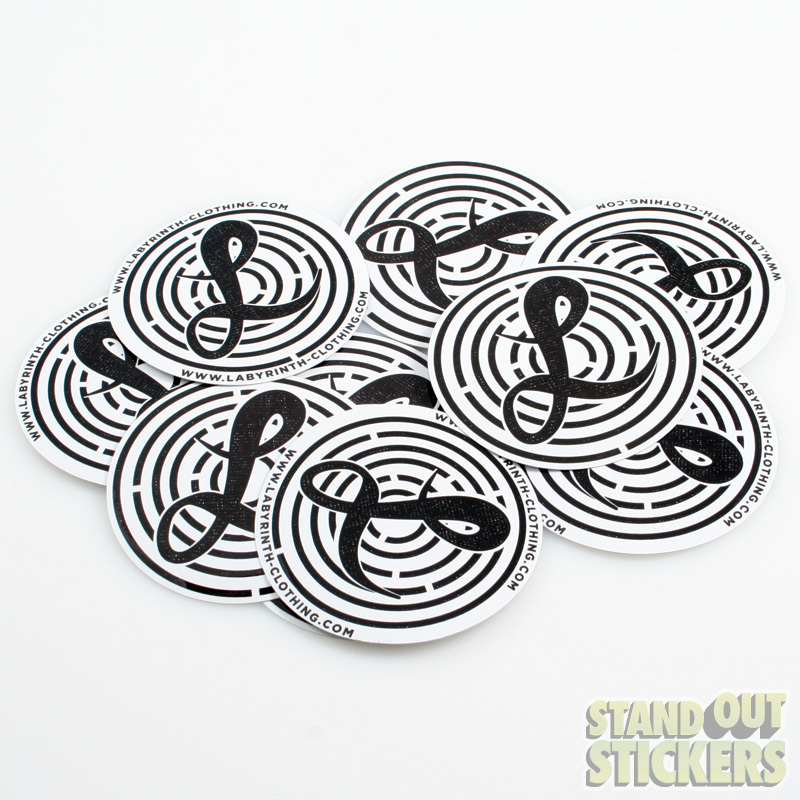 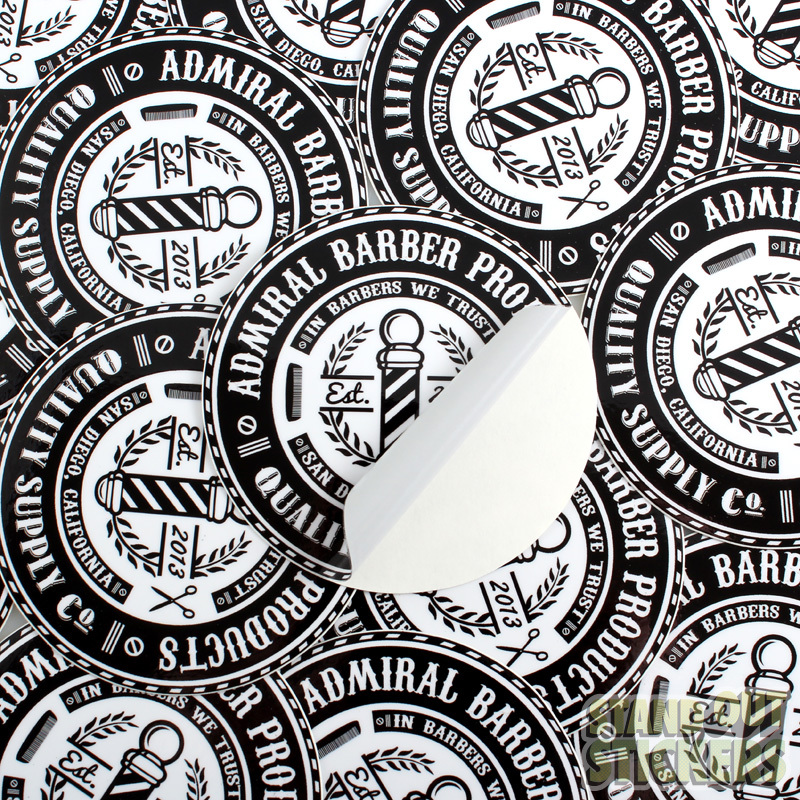 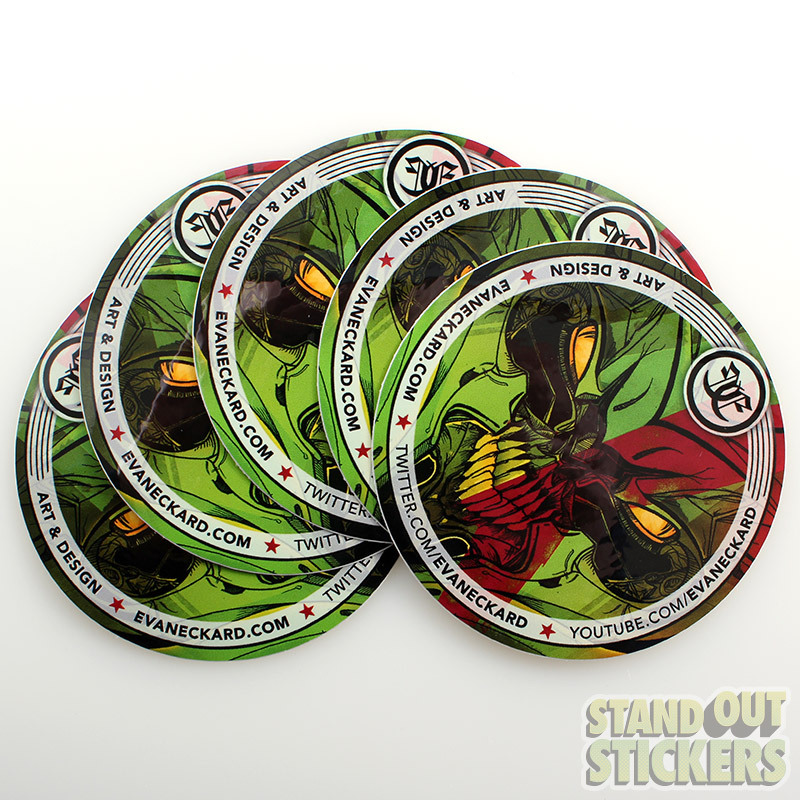 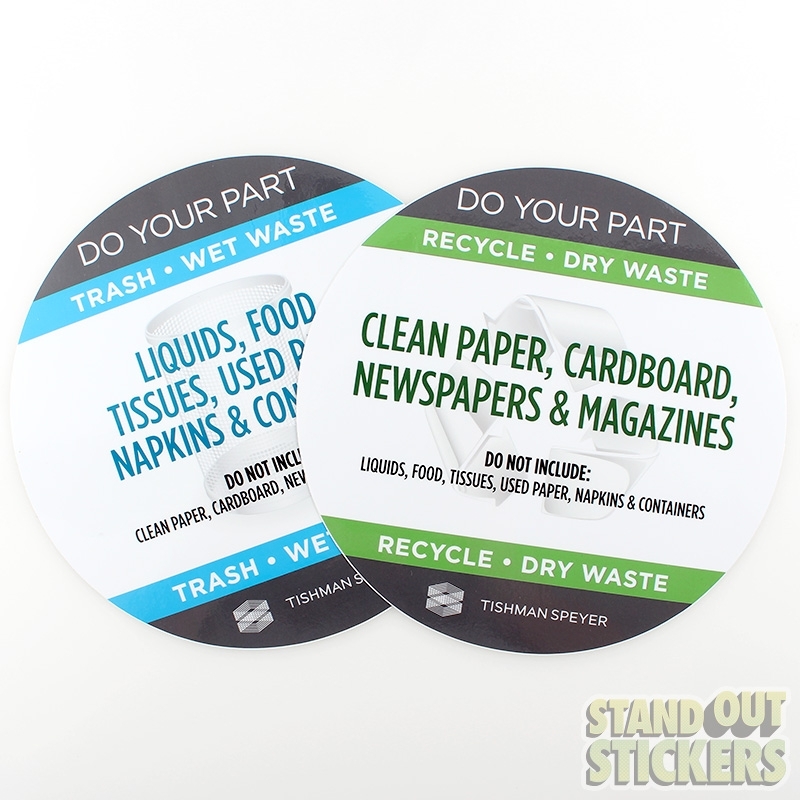 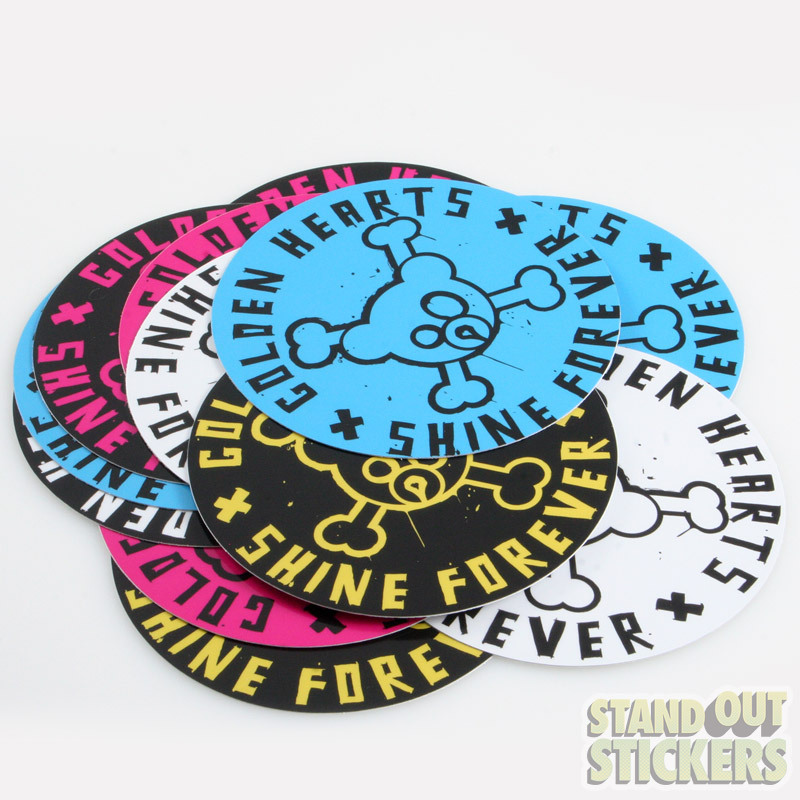 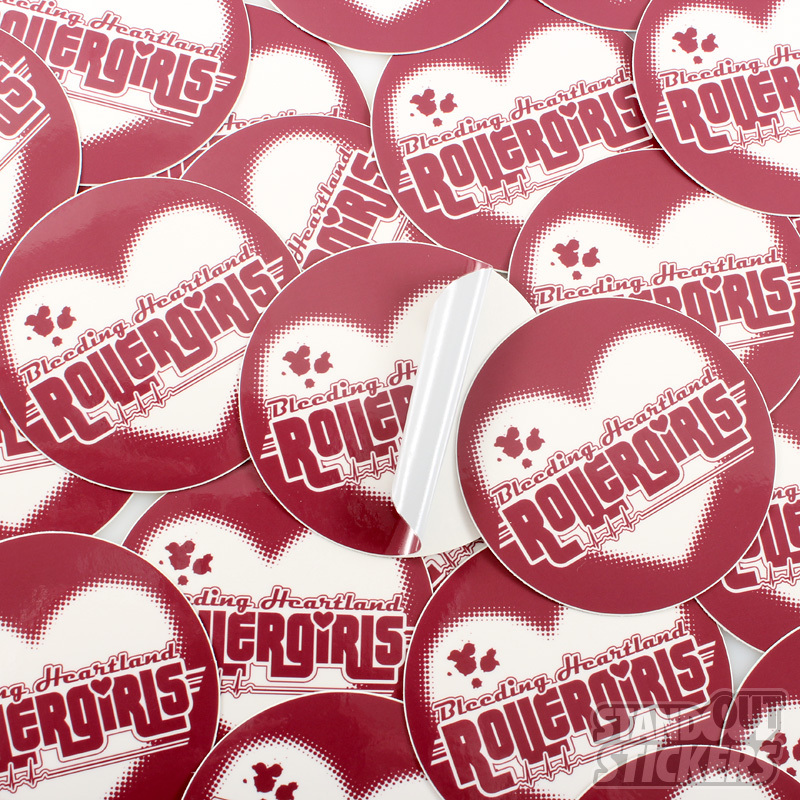 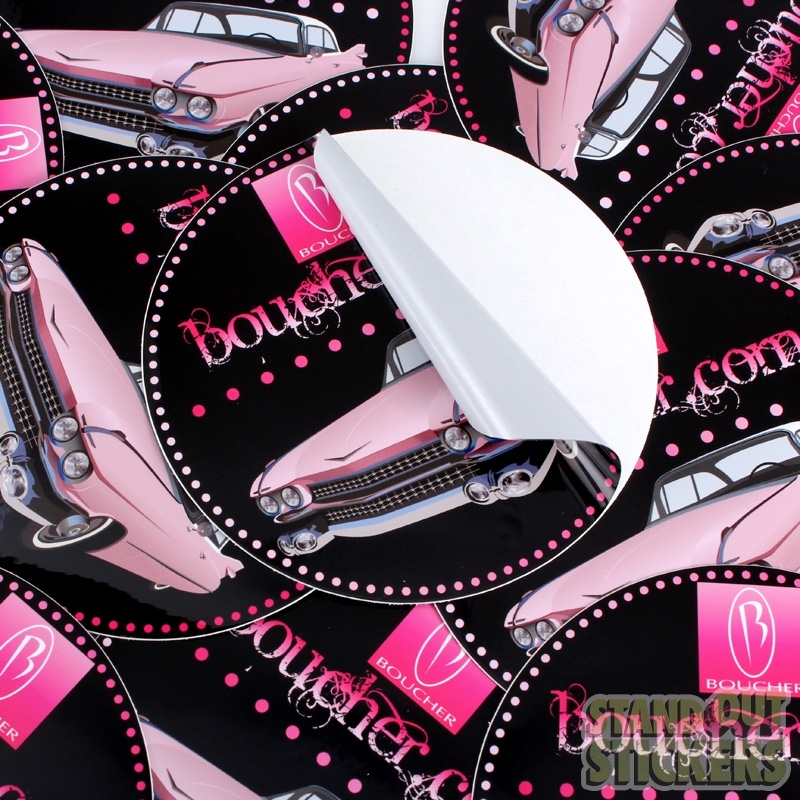 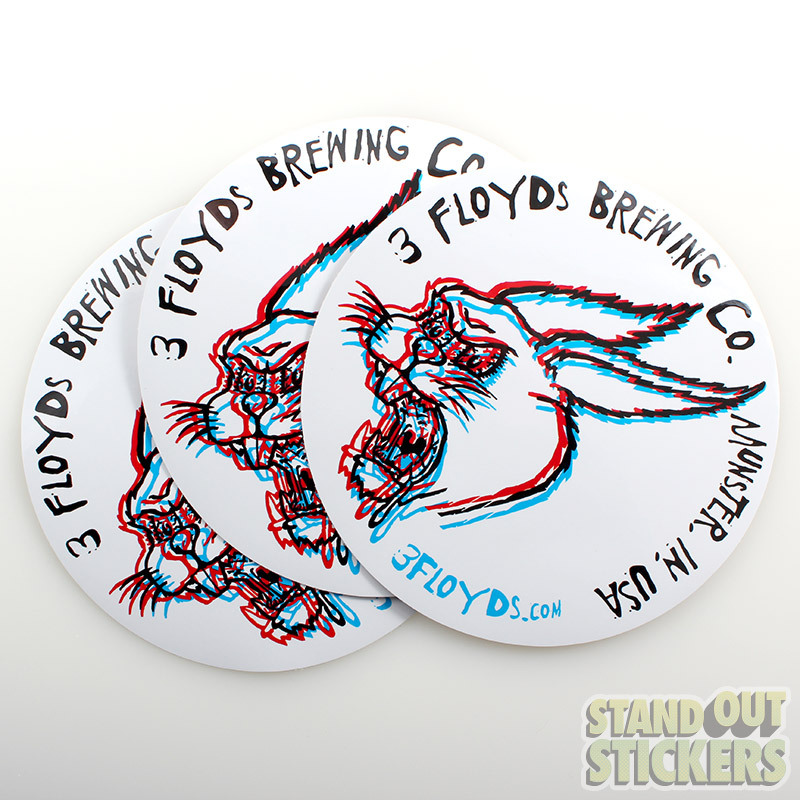 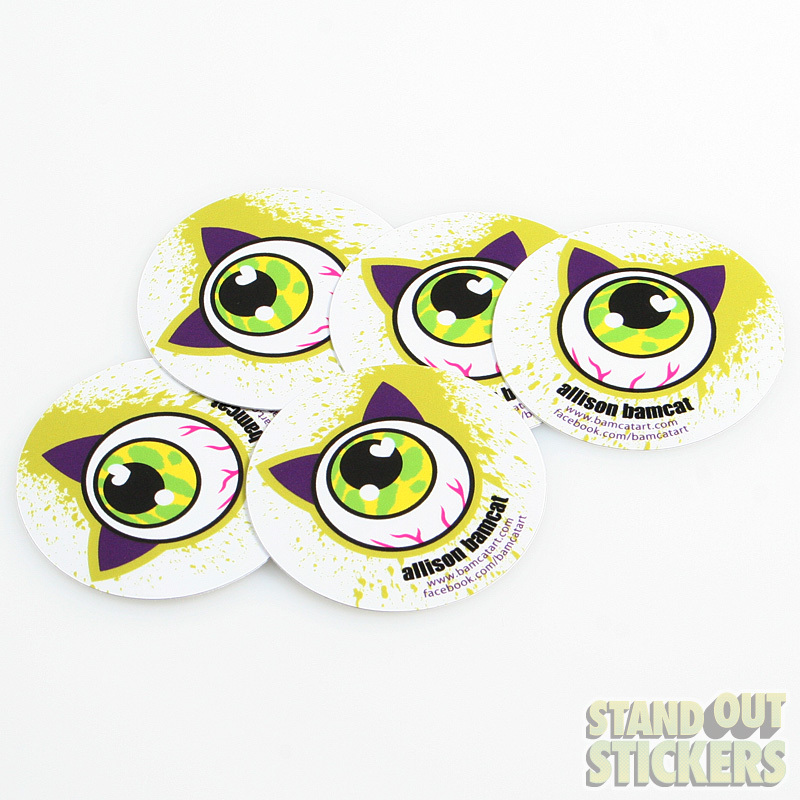 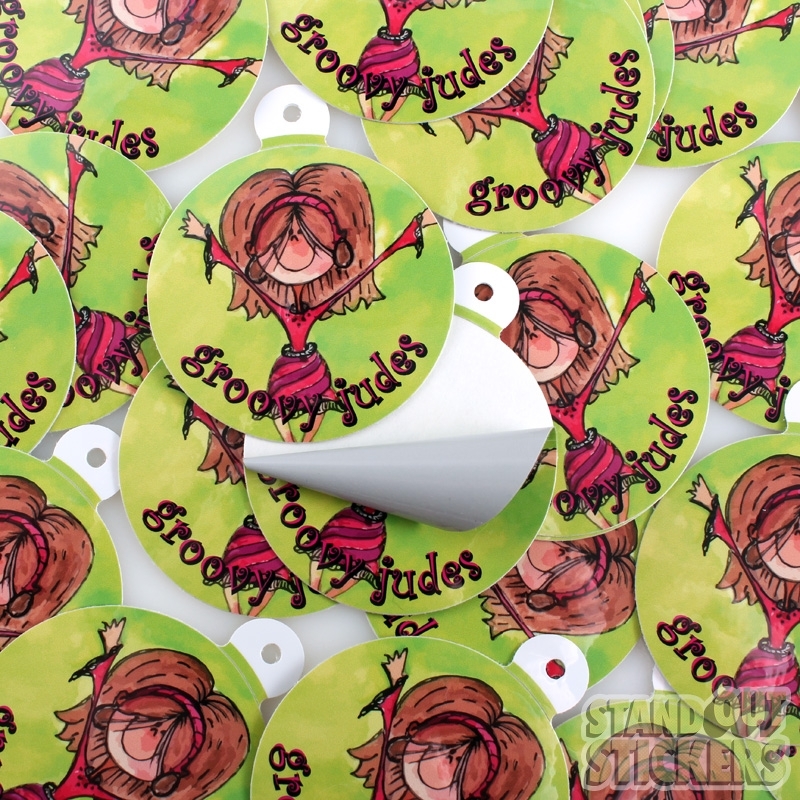 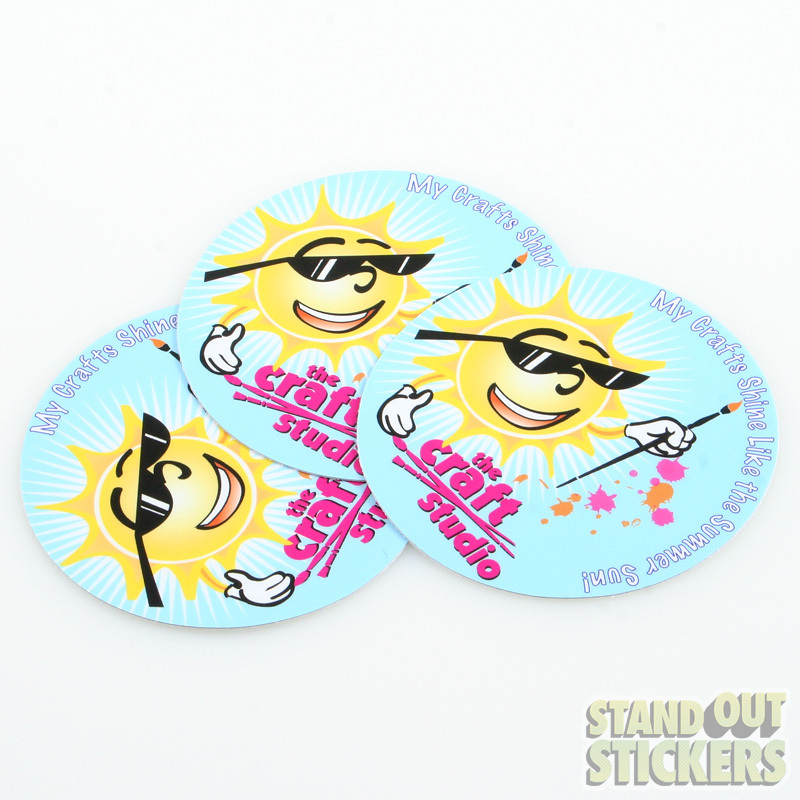 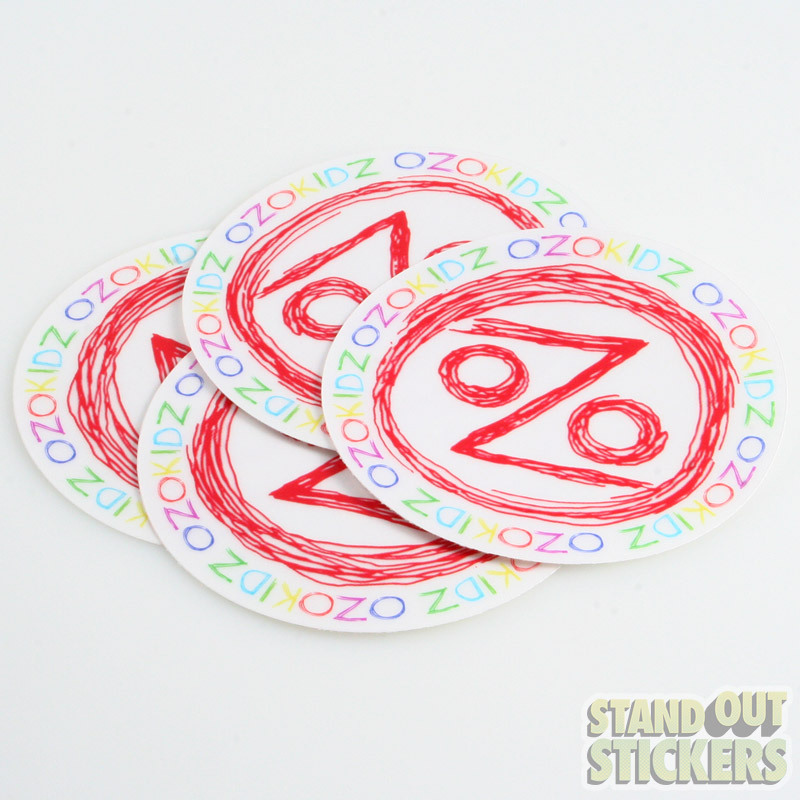 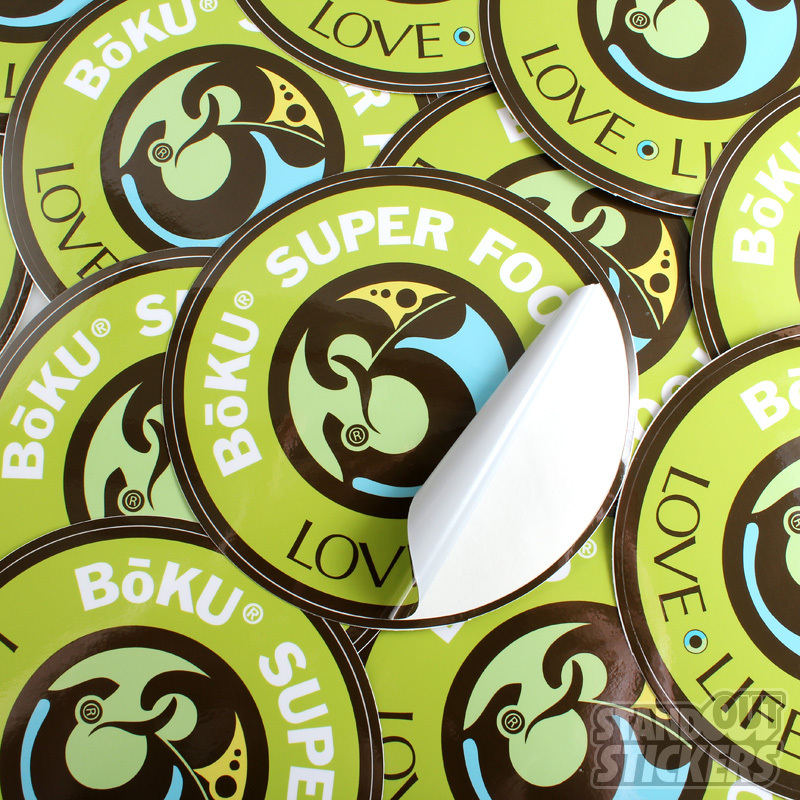 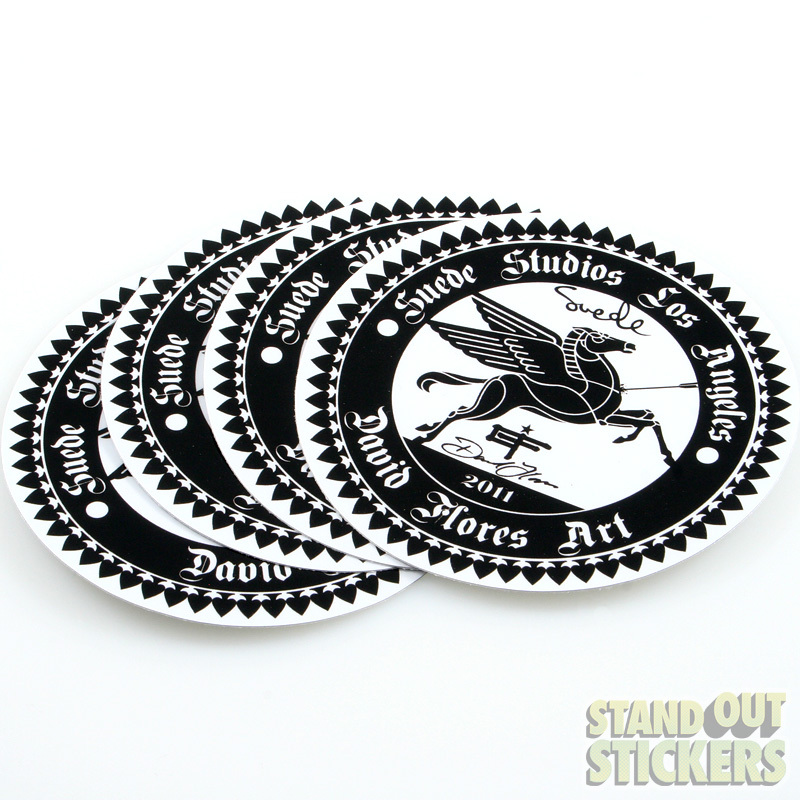 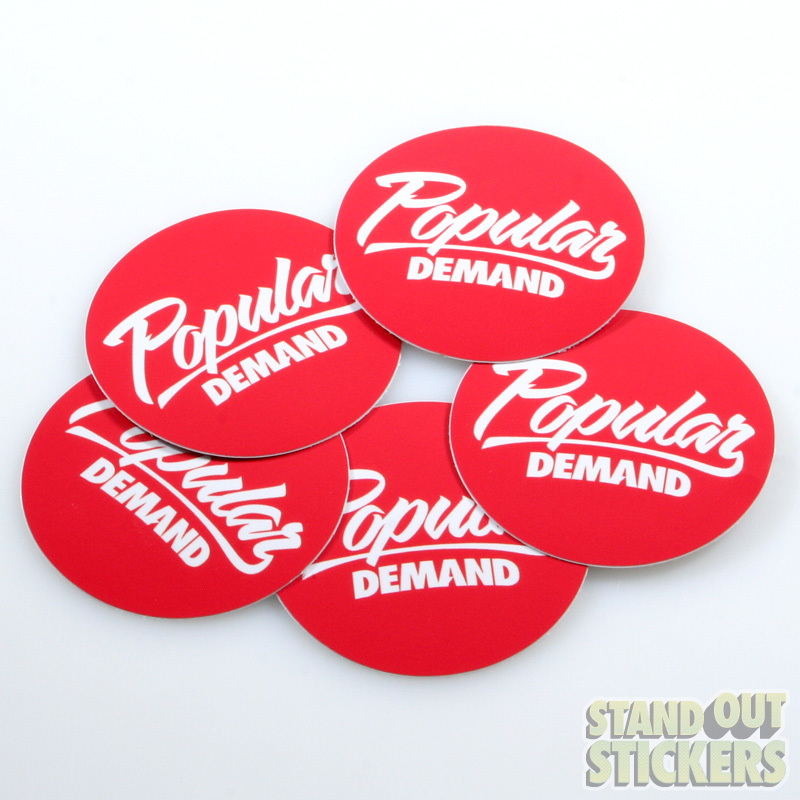 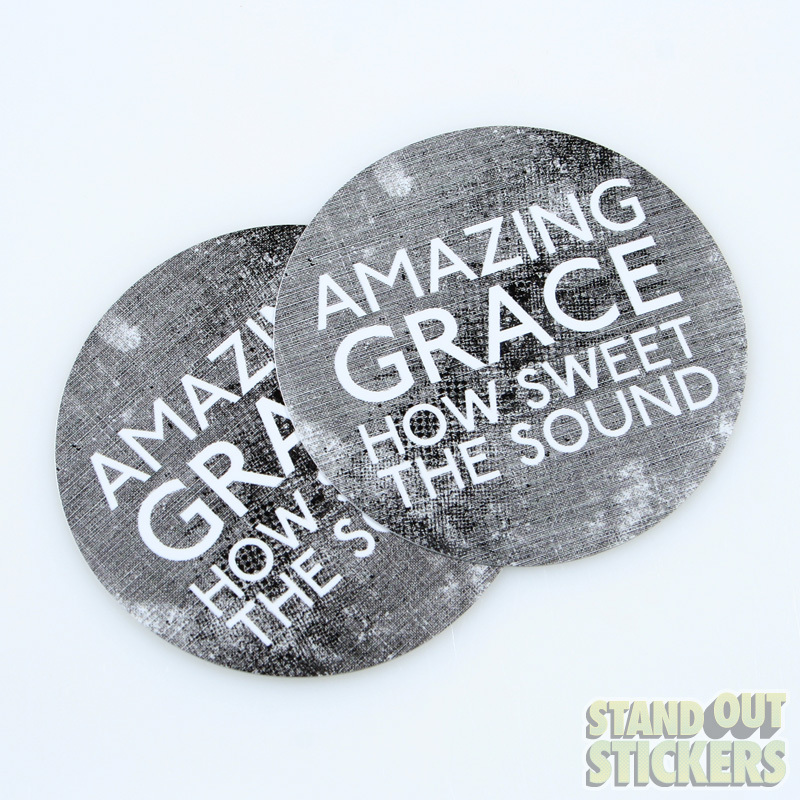 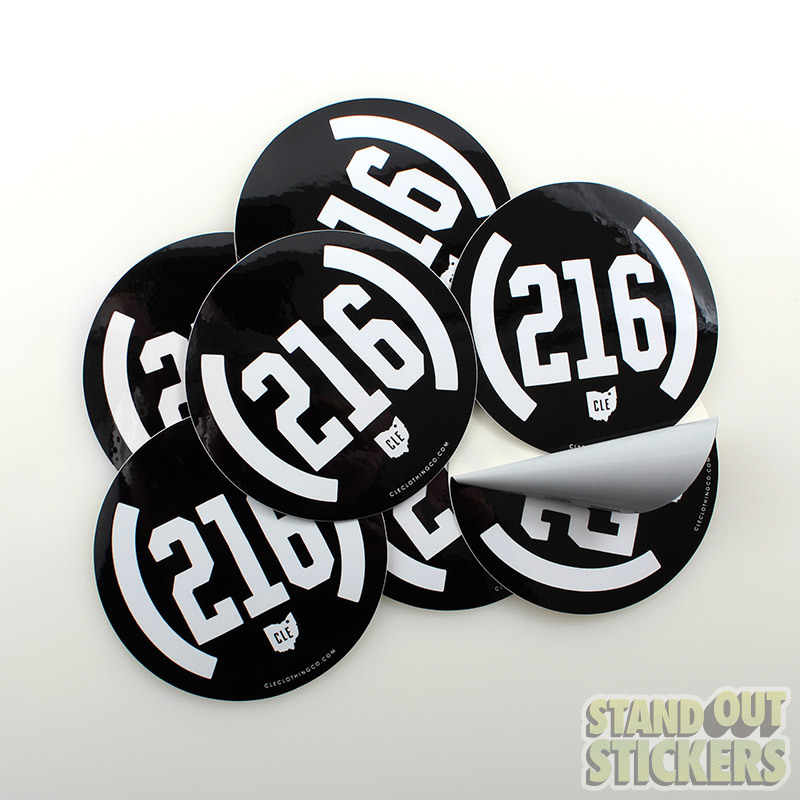 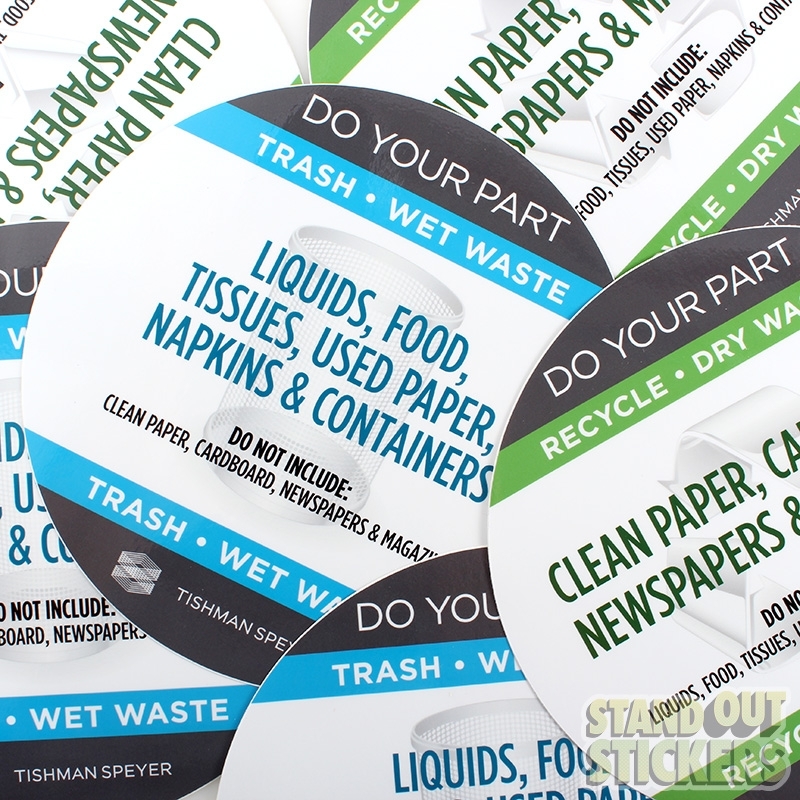 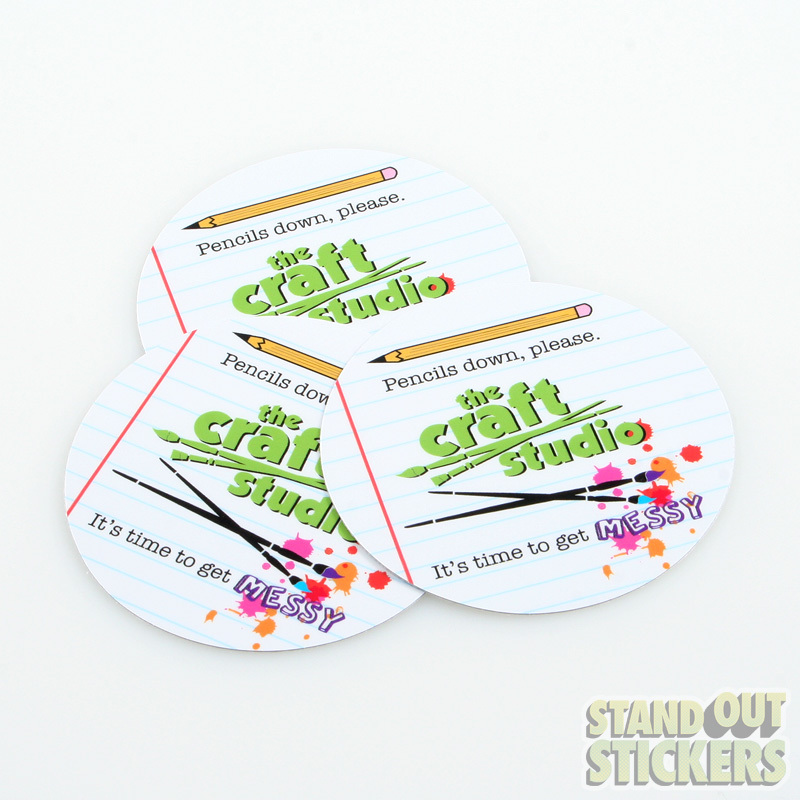 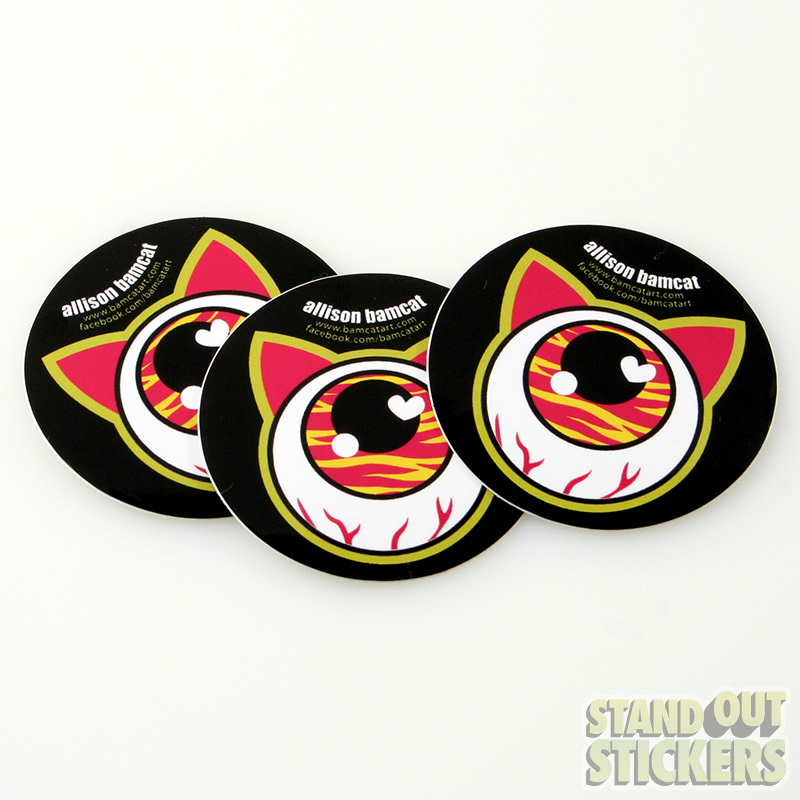 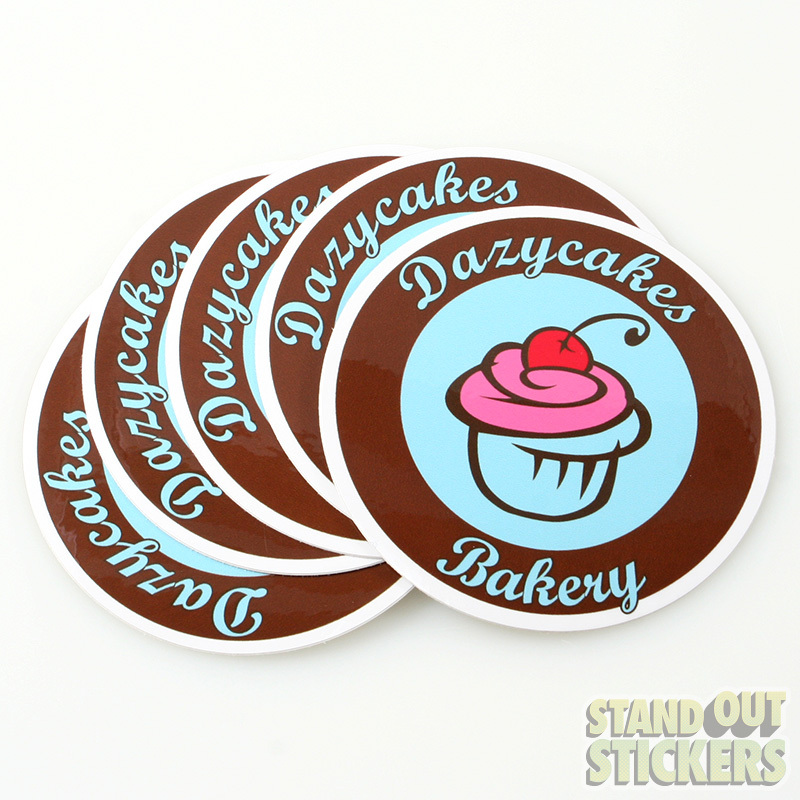 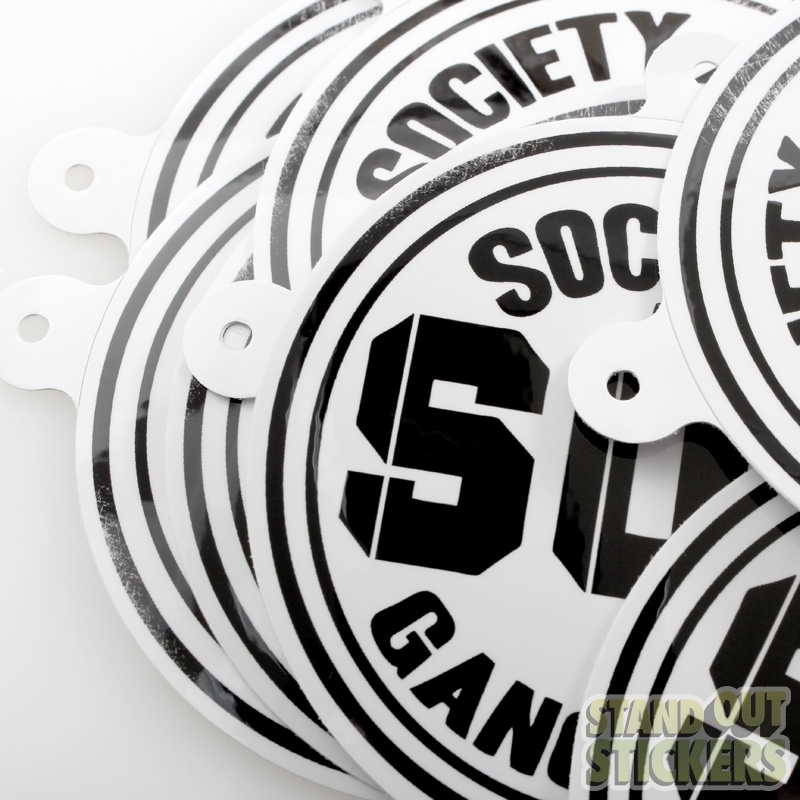 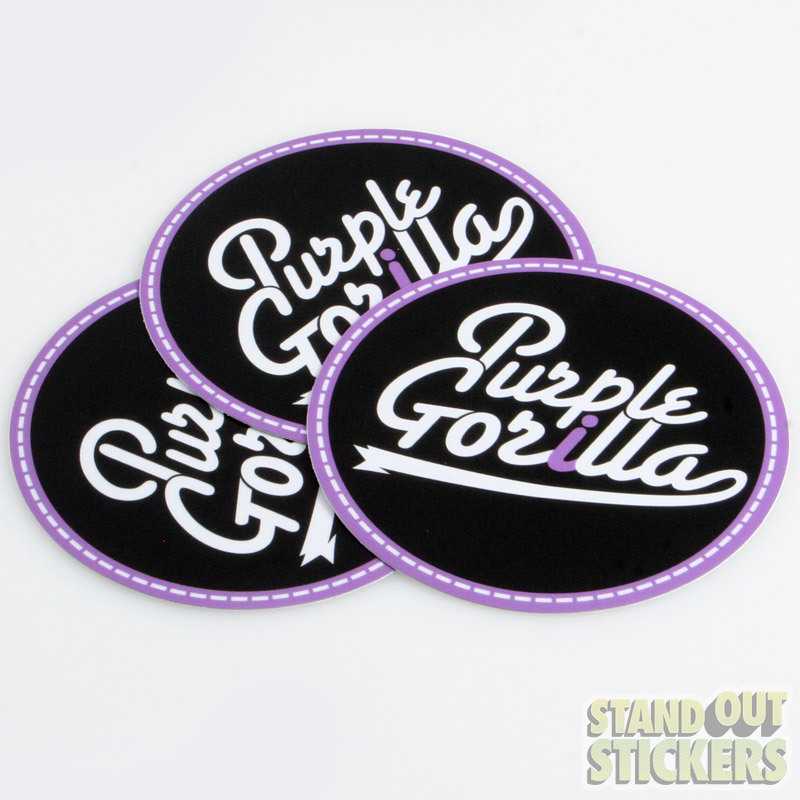 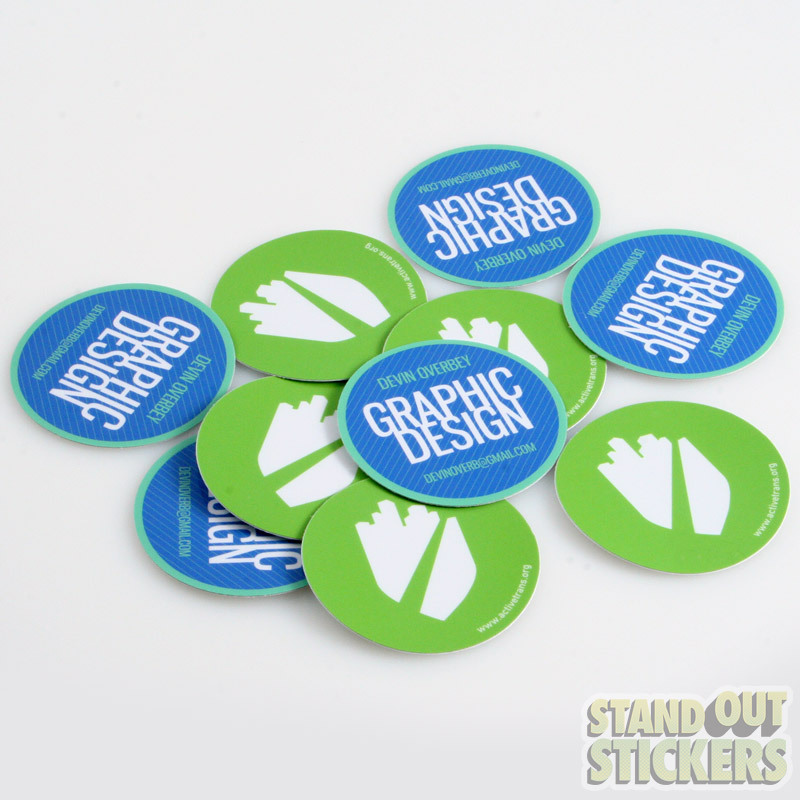 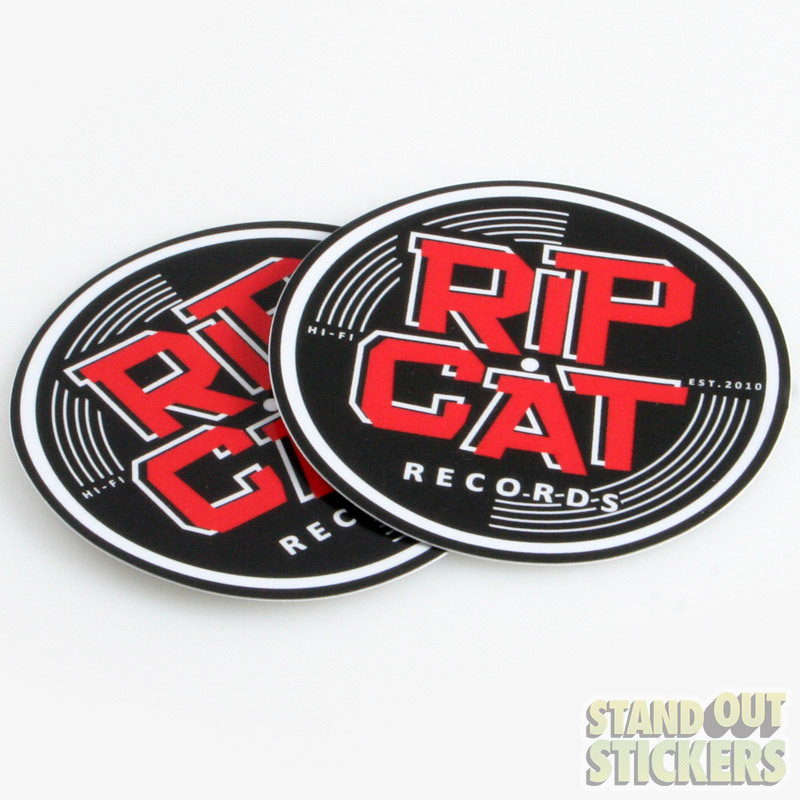 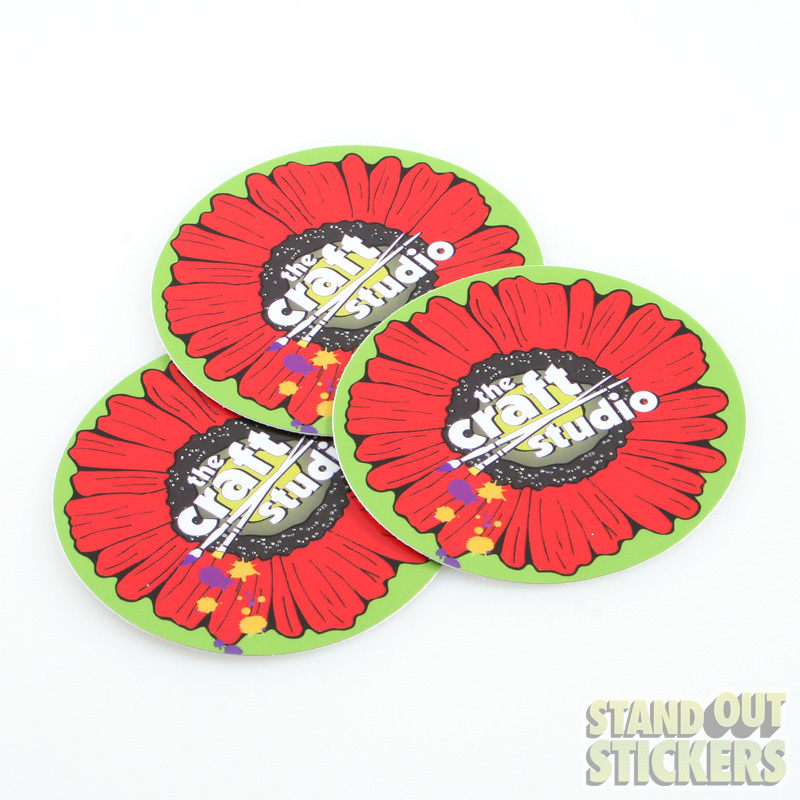 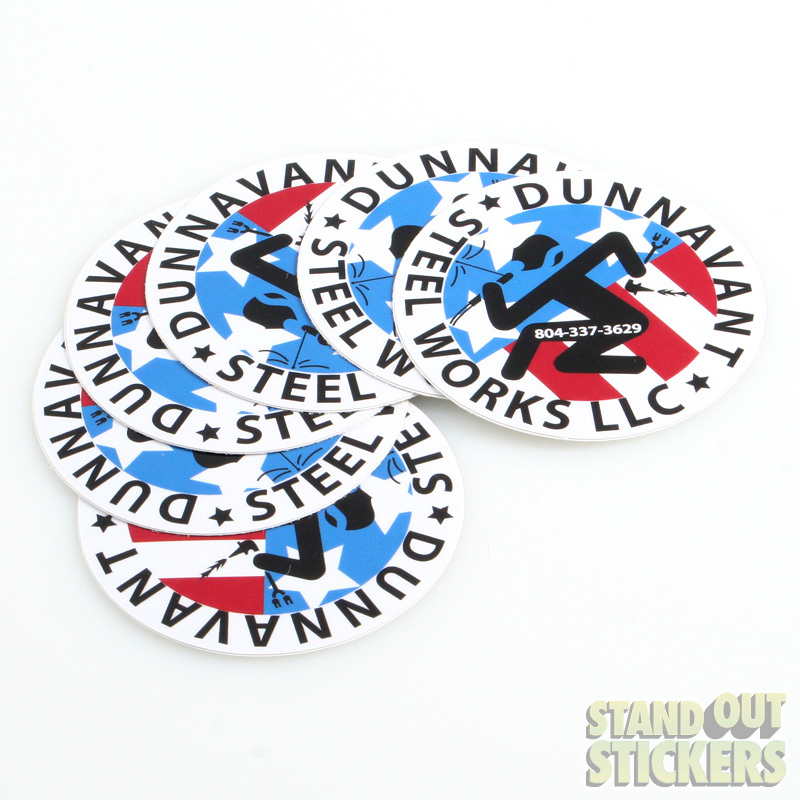 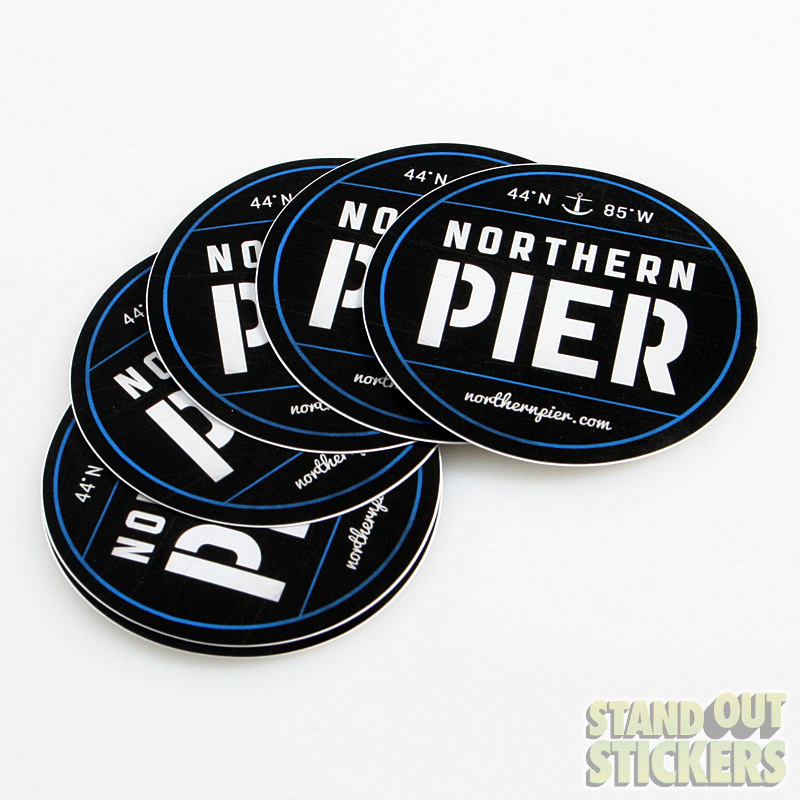 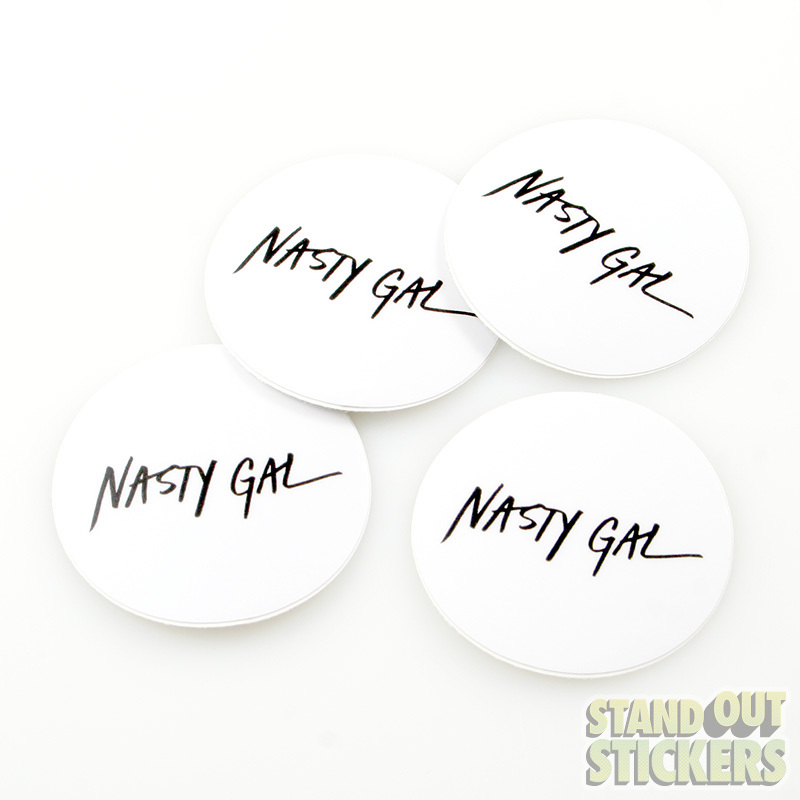 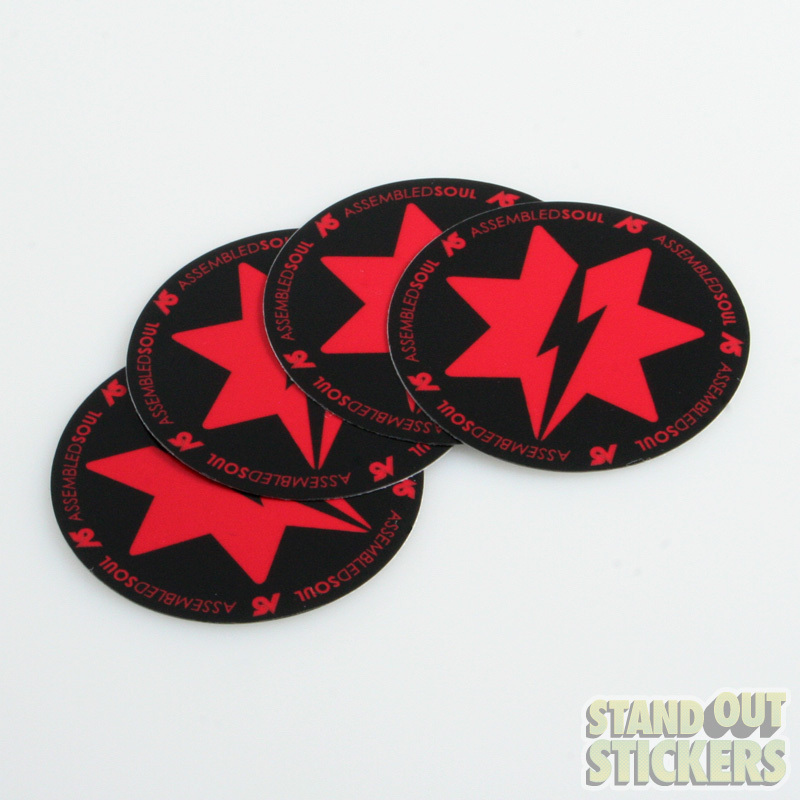 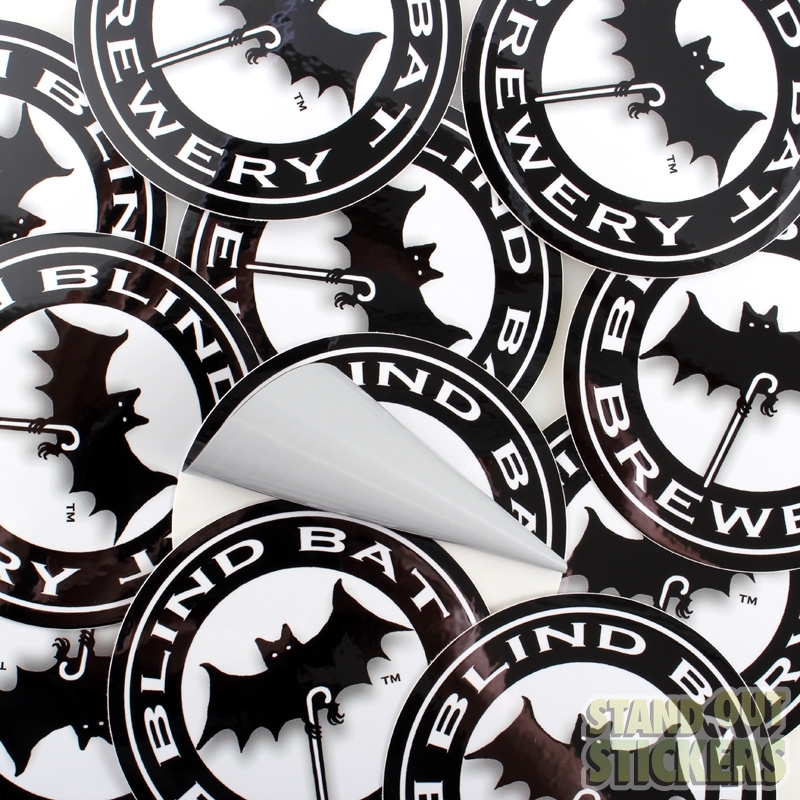 Circle stickers are a great canvas for any graphic or text - professionally printed with the highest quality inks and cut on the highest quality vinyl using techniques that offers smooth edges and clean peel-away from the backing when it's time to slap your sticker onto something. 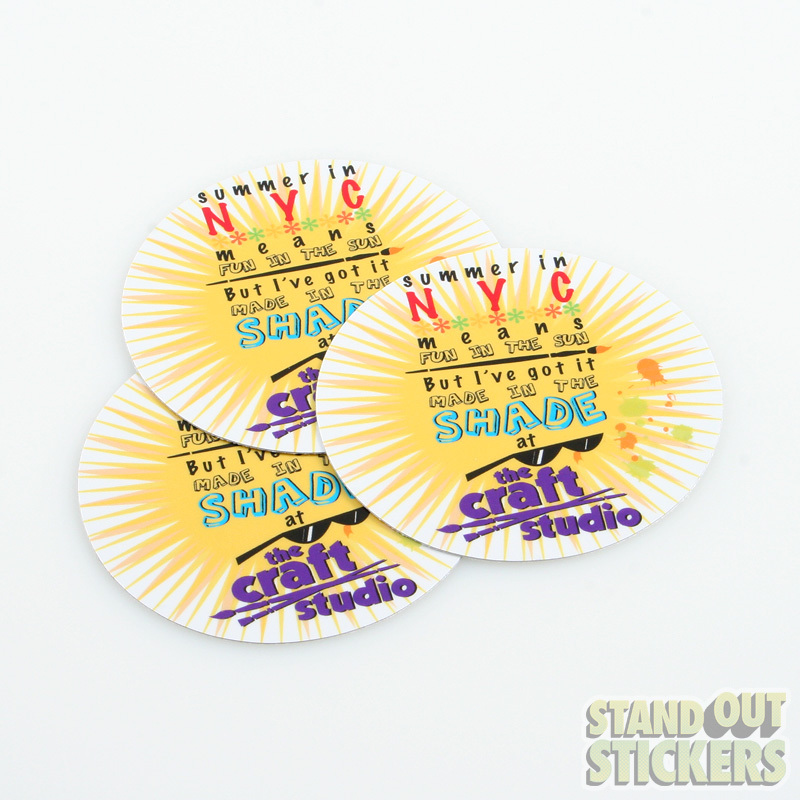 Take a look at what some of our creative clients have done with our basic round sticker, and then play around with our sticker layout templates to see what you could do with yours. 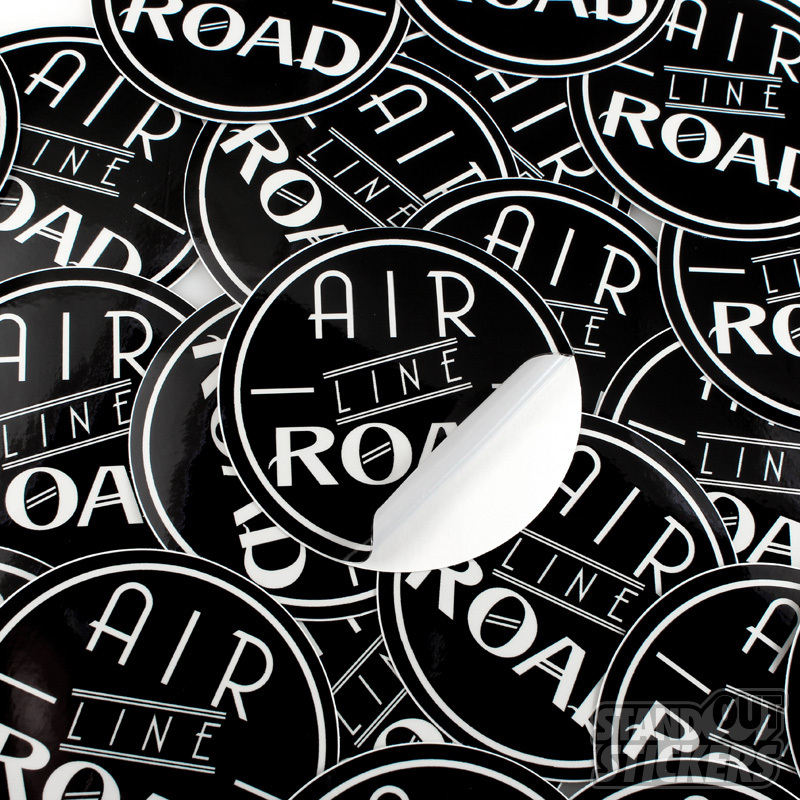 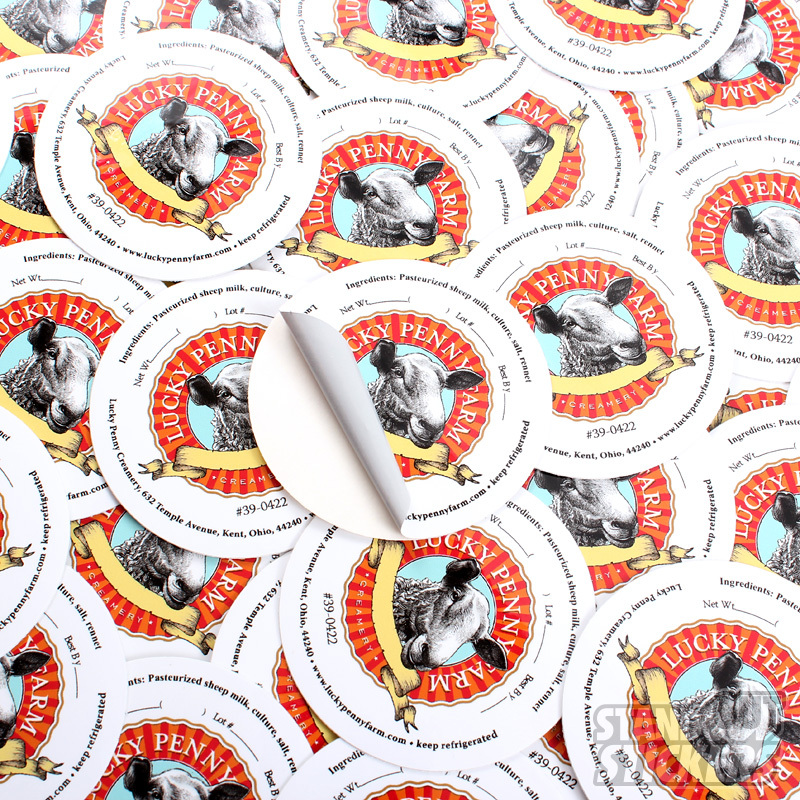 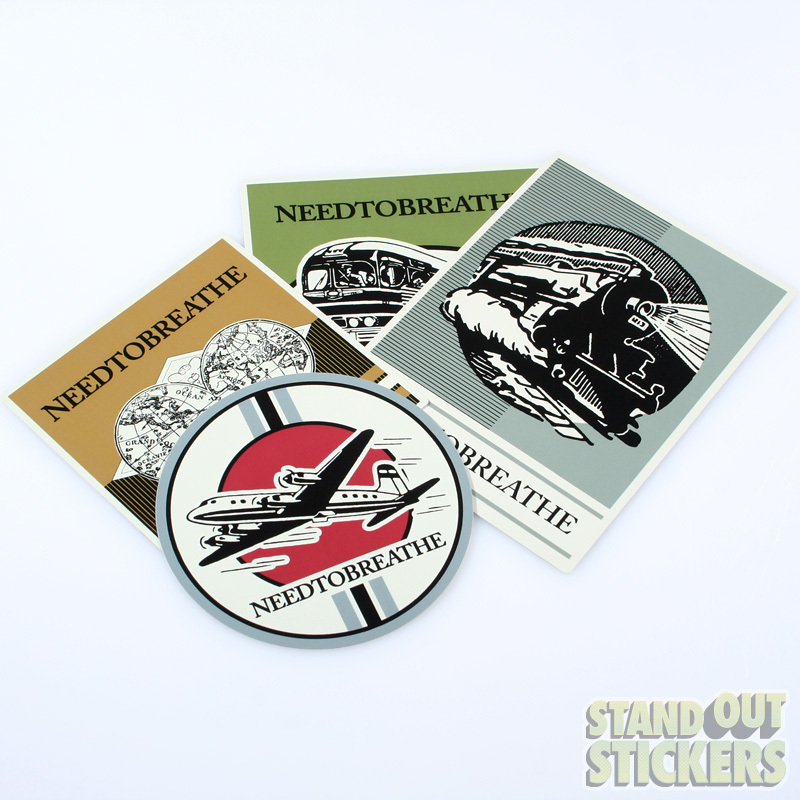 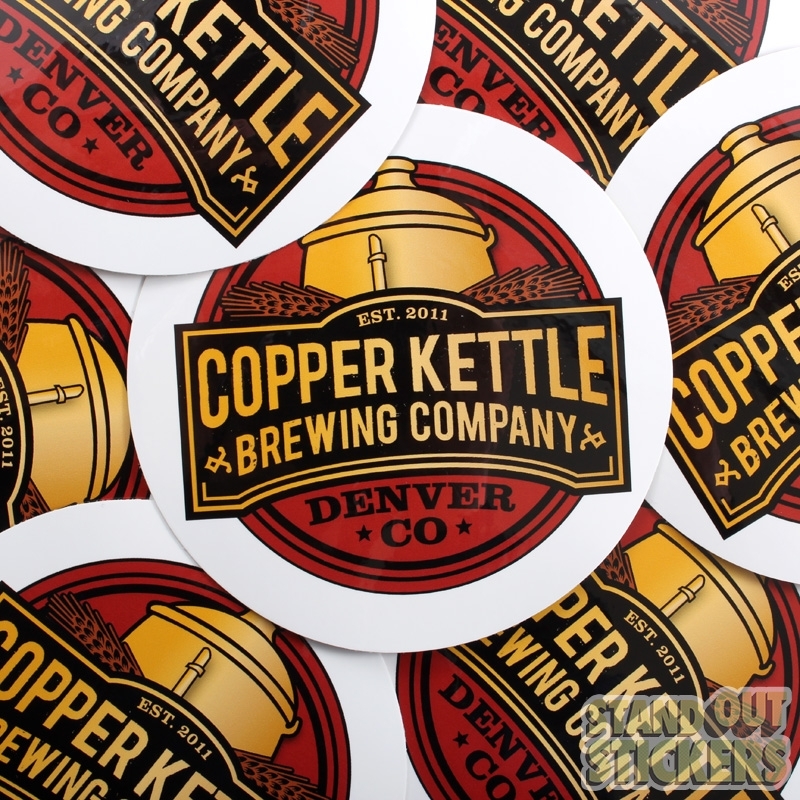 These stickers really "round out" an orientation packet or merchandise table - and they're also great as product labels on the tops of jars and tins, end of mailing tubes, or on any other packaging. 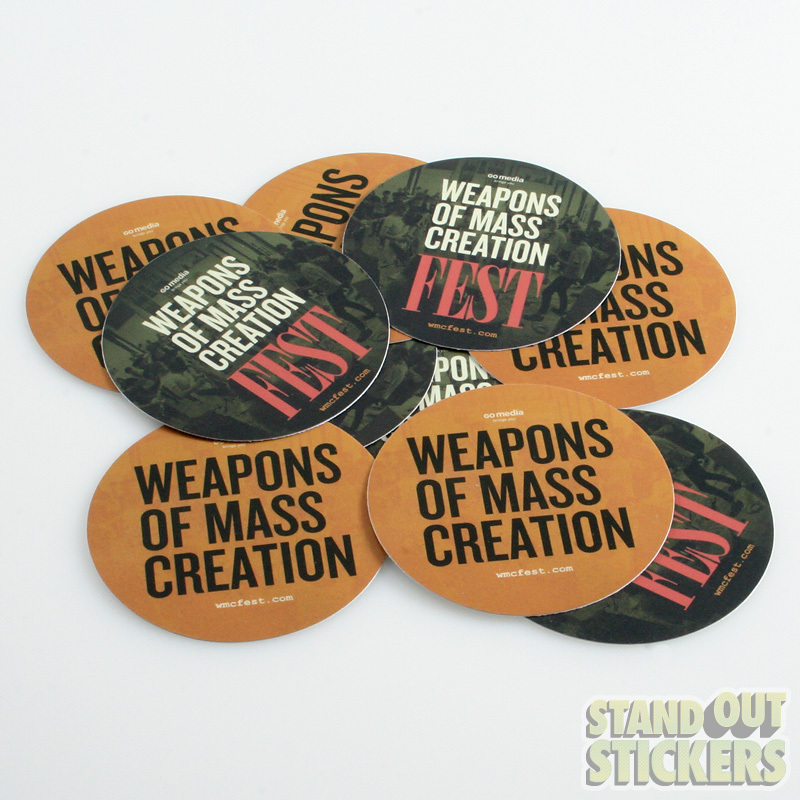 What will you use them for? 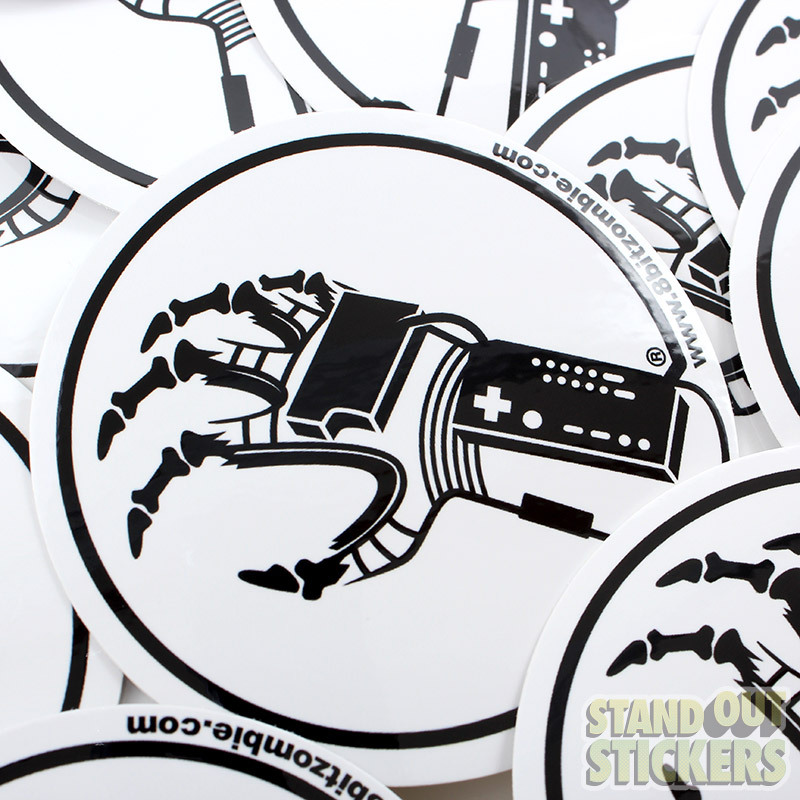 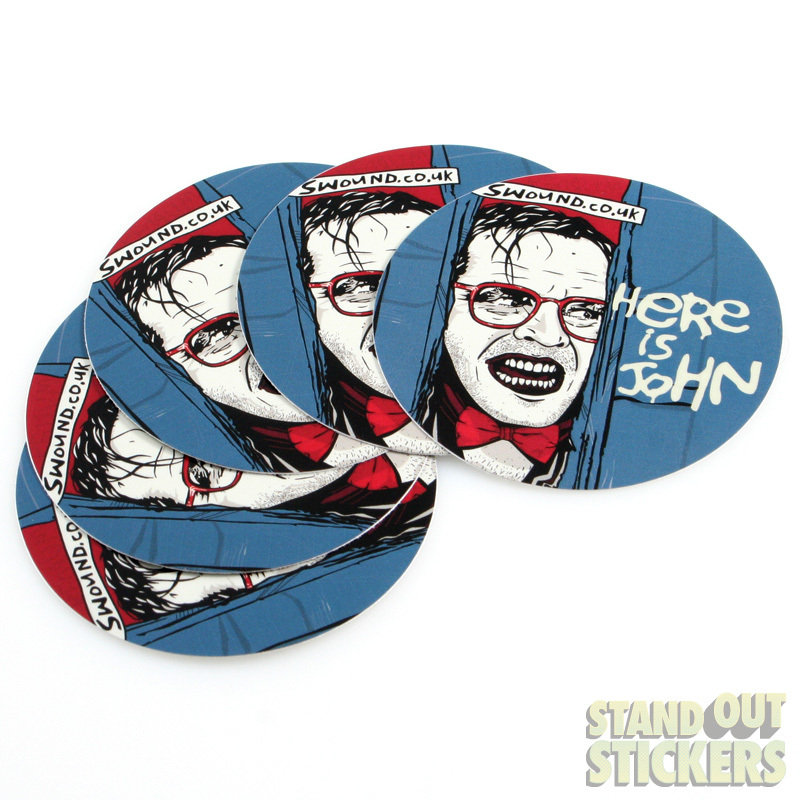 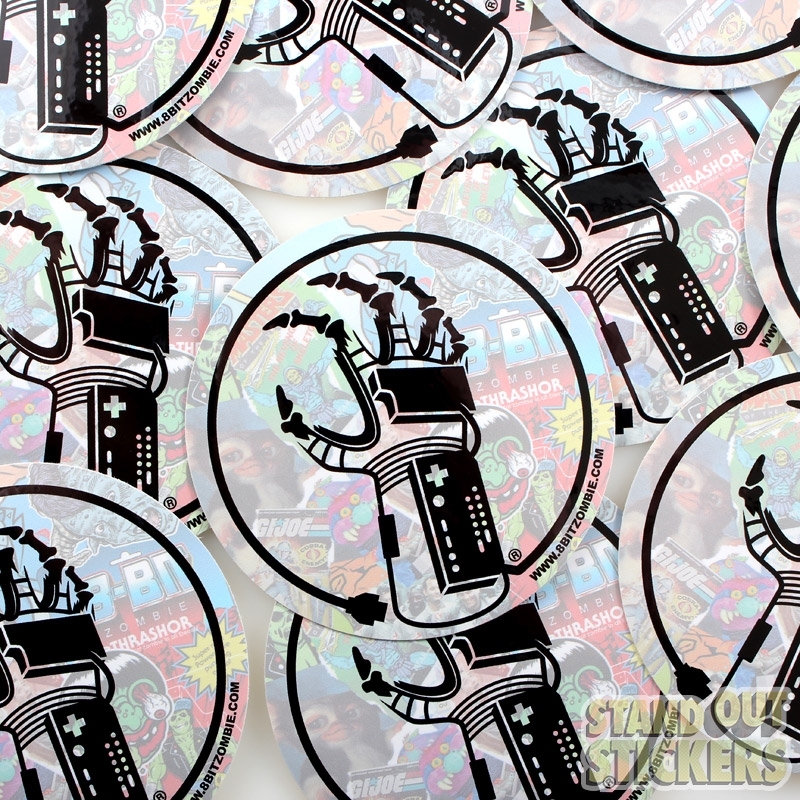 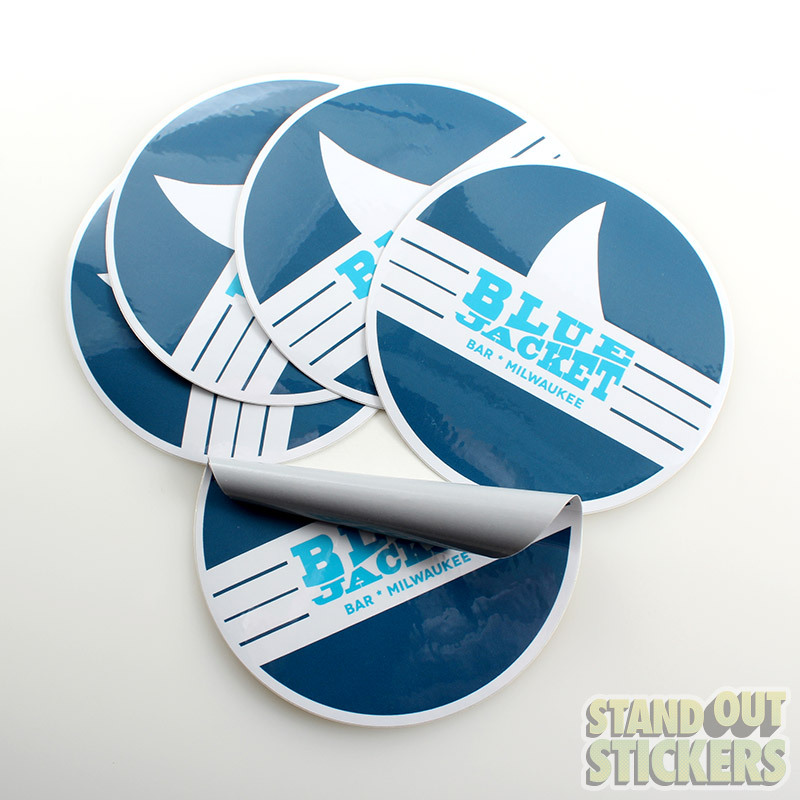 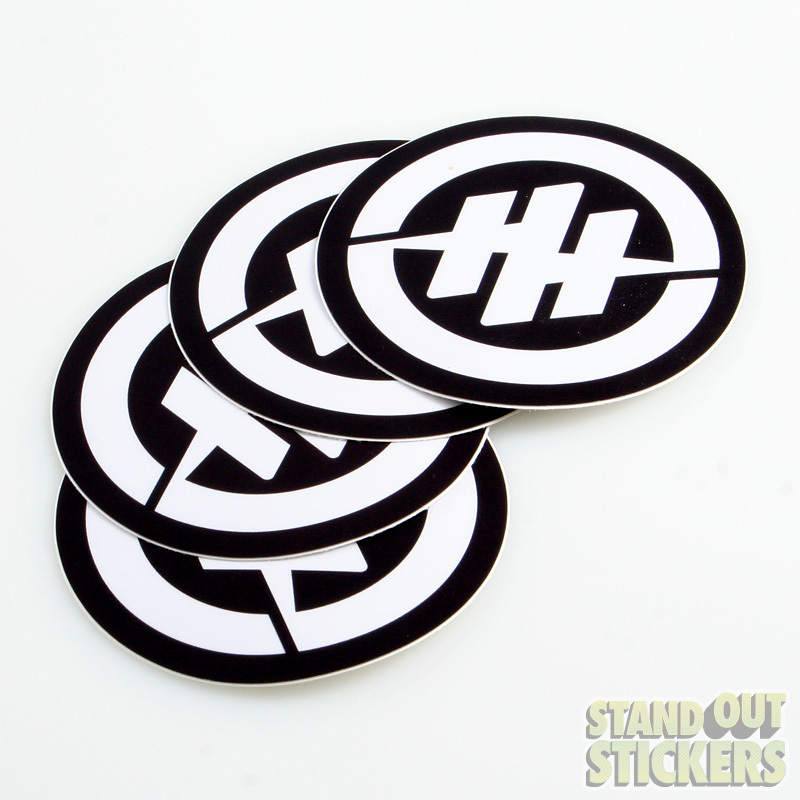 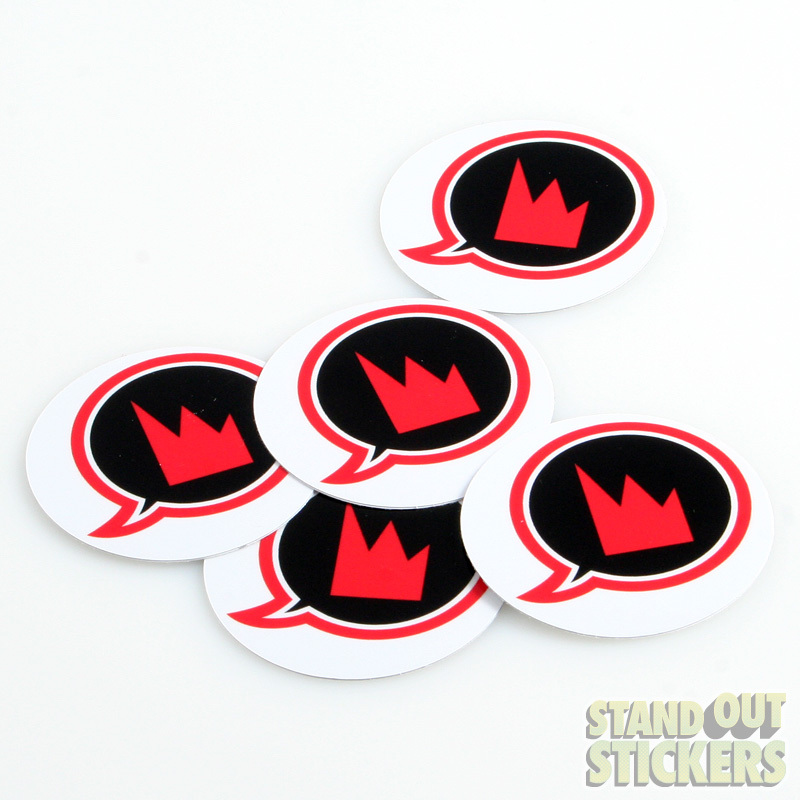 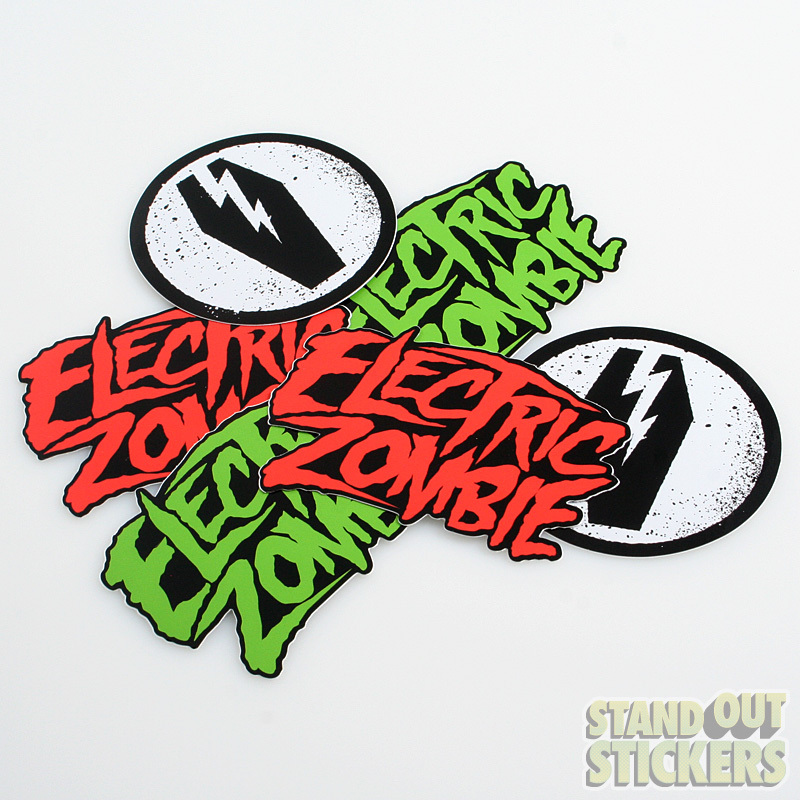 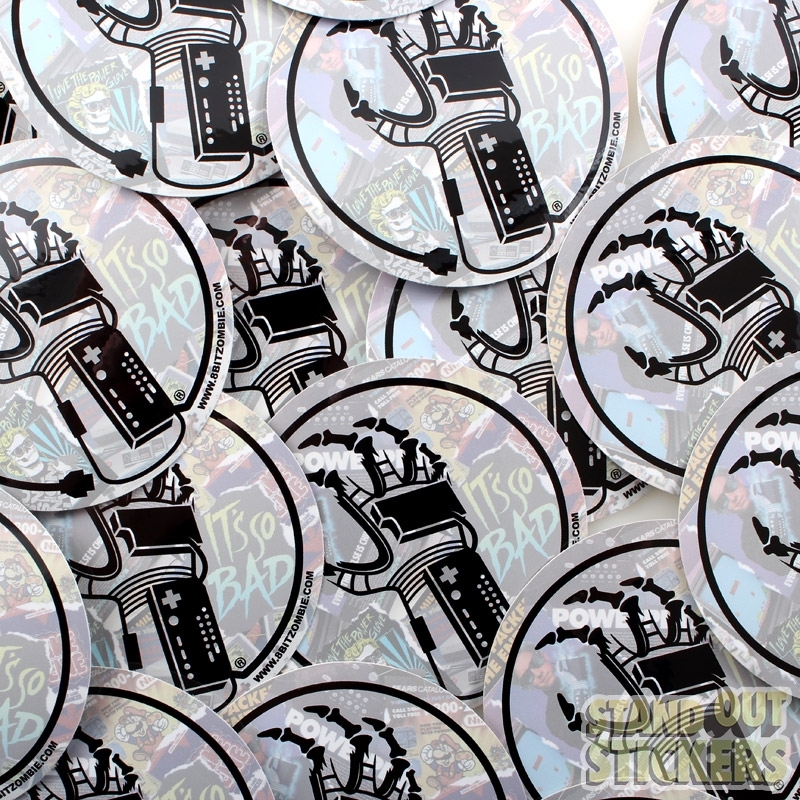 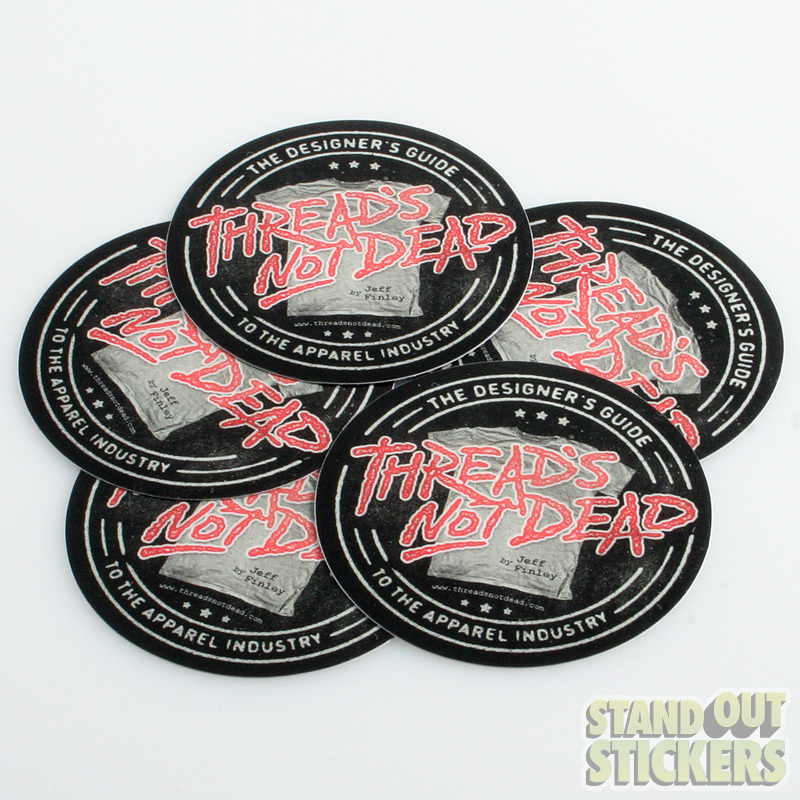 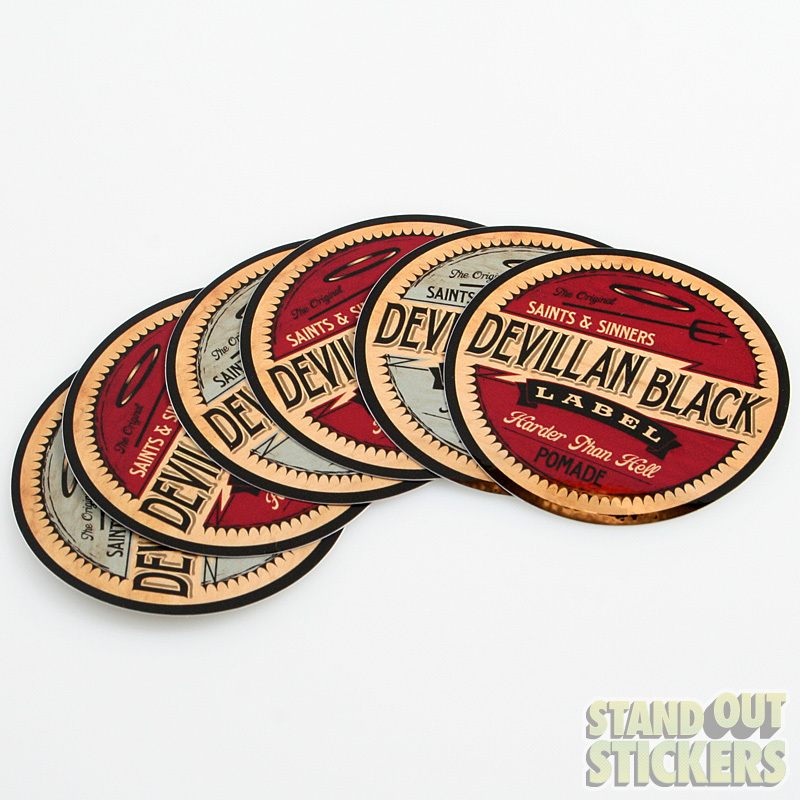 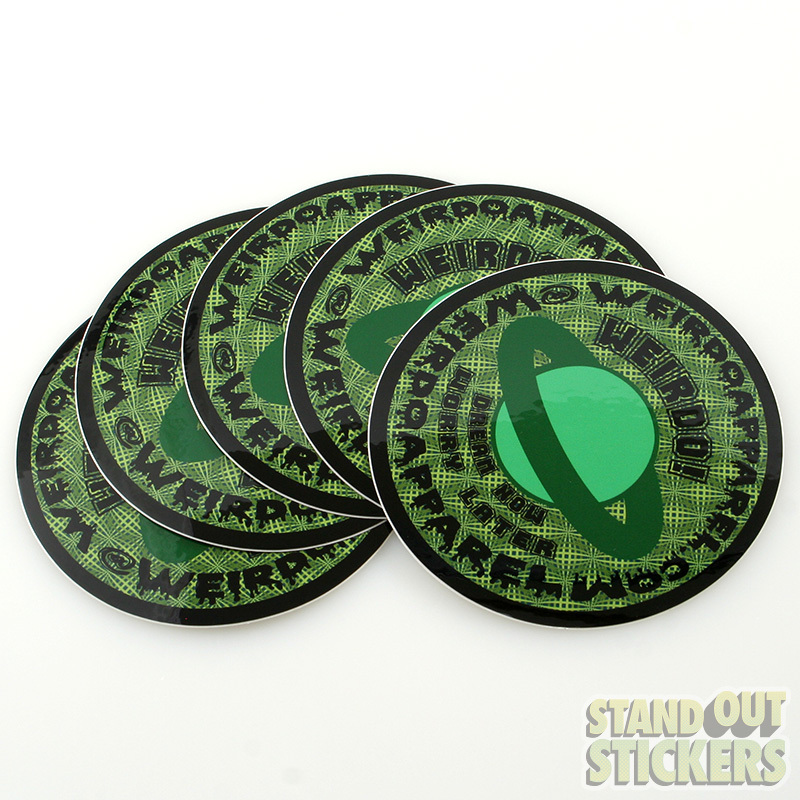 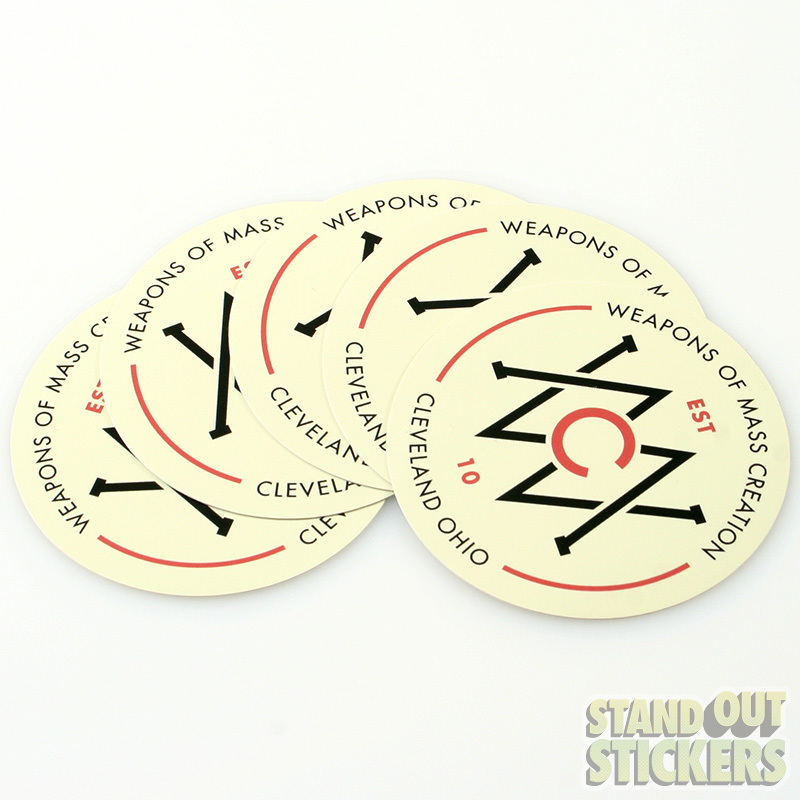 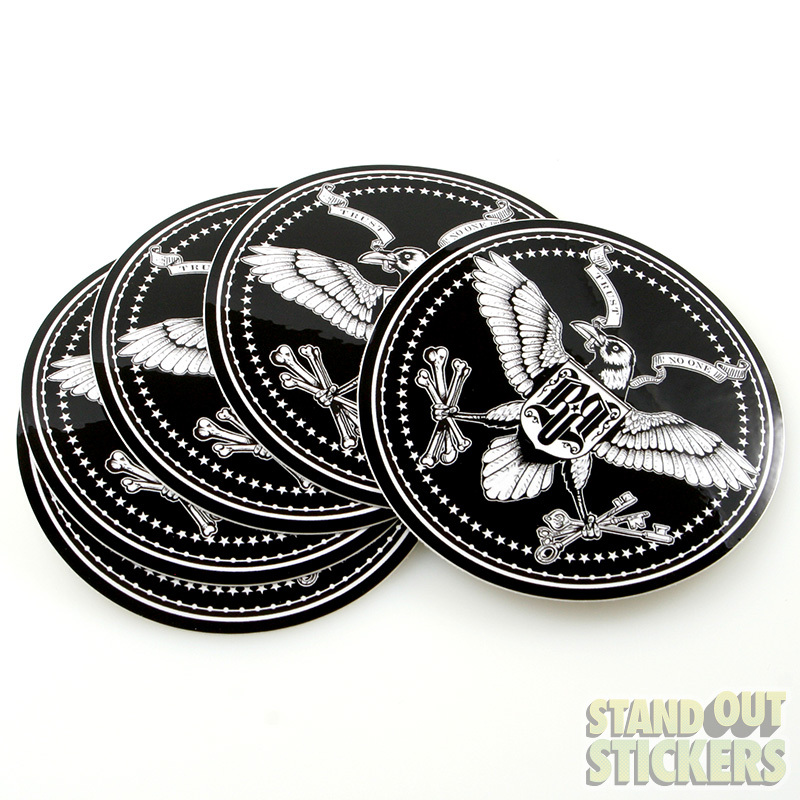 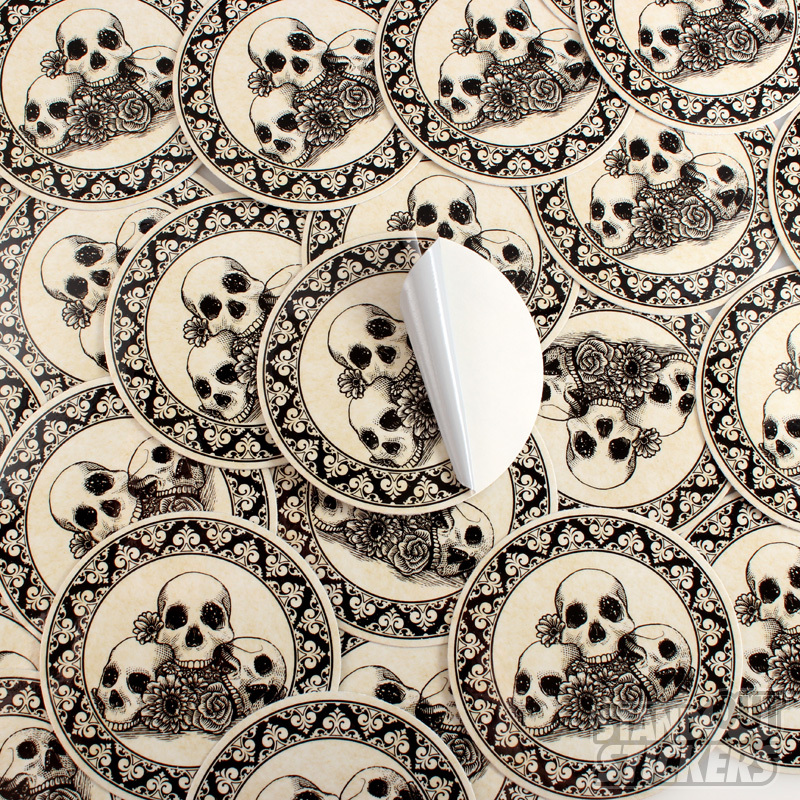 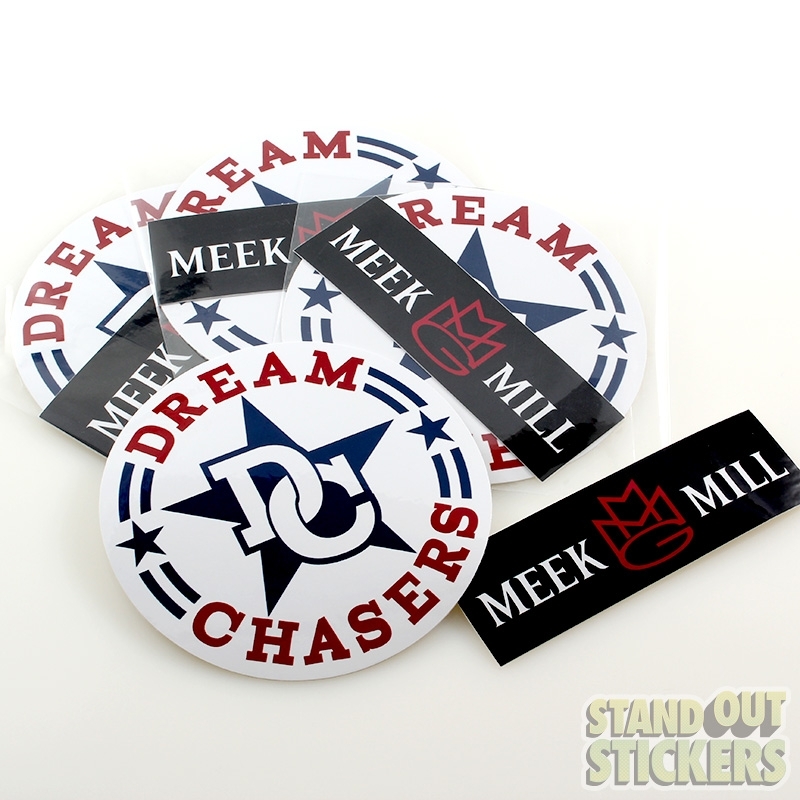 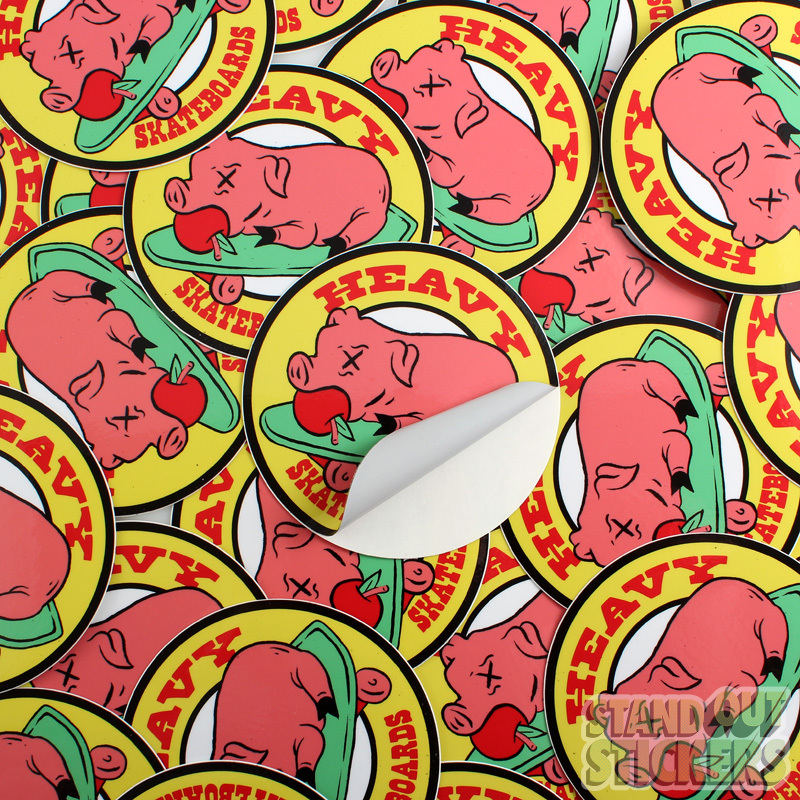 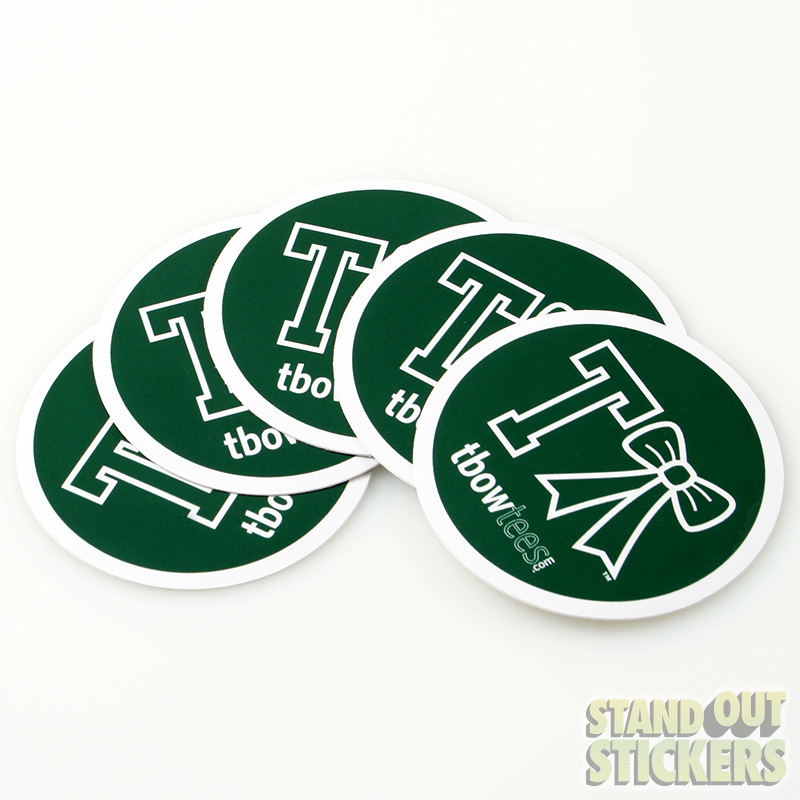 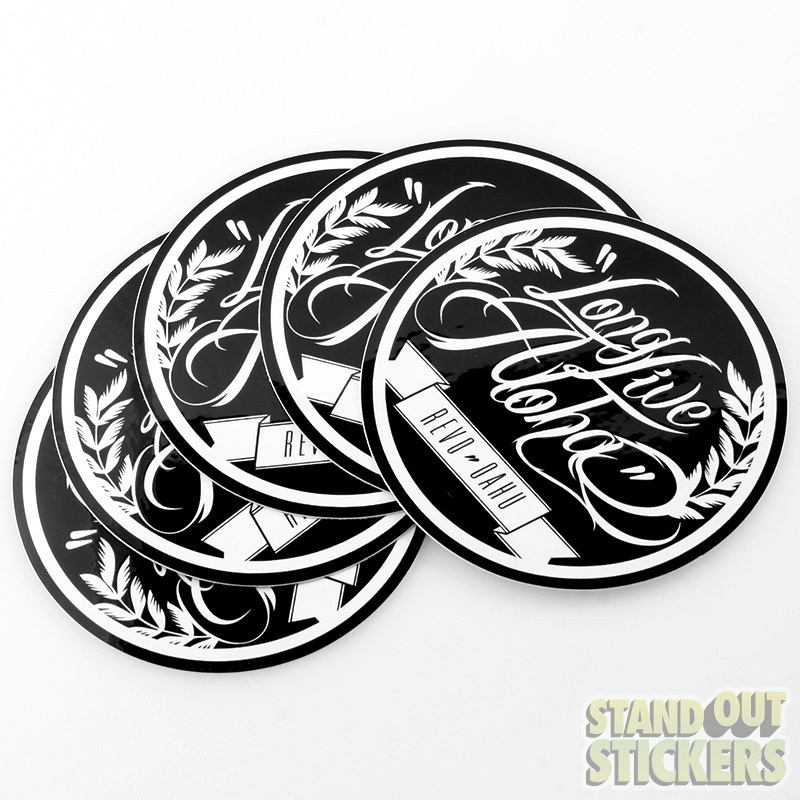 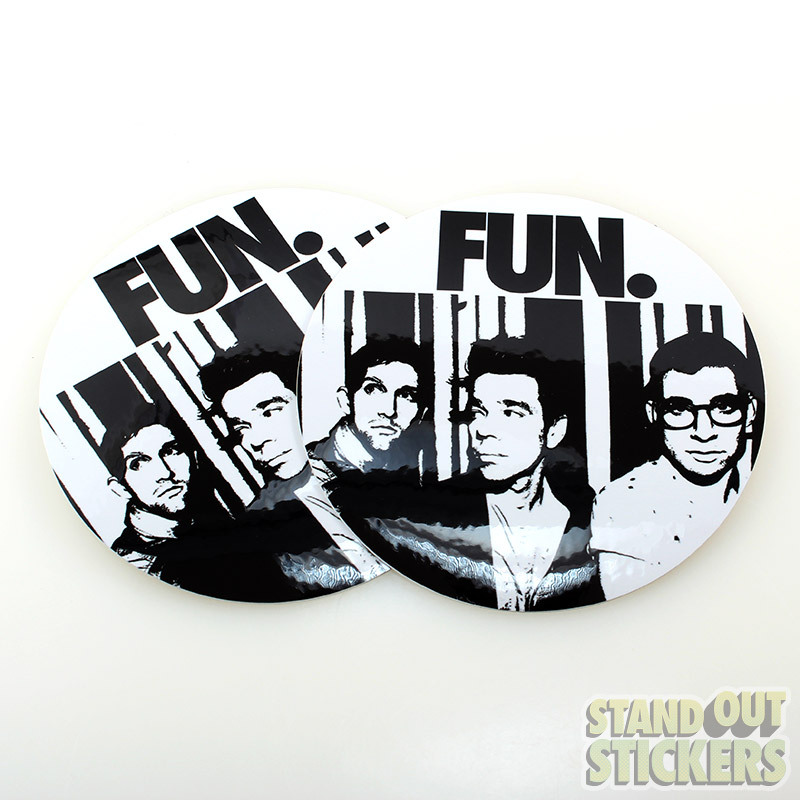 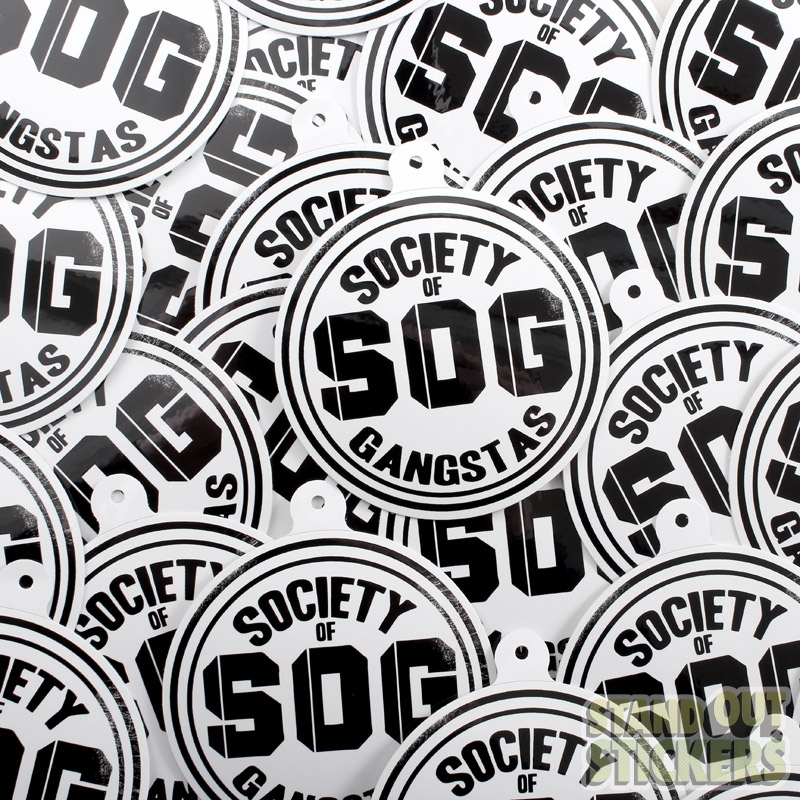 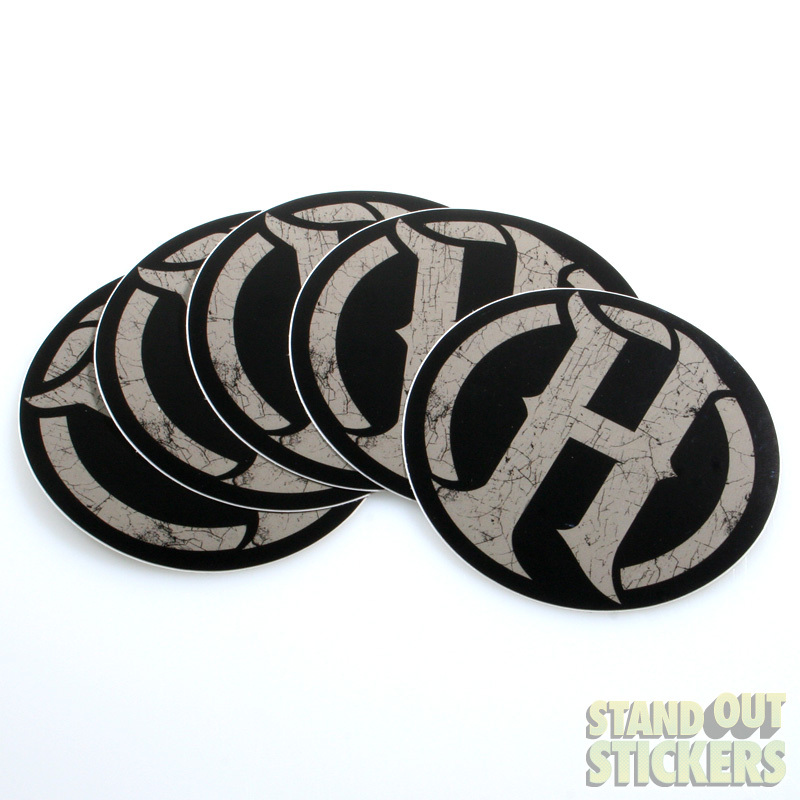 Design custom stickers right now in our free online customizer tool!